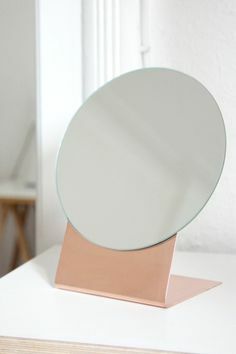 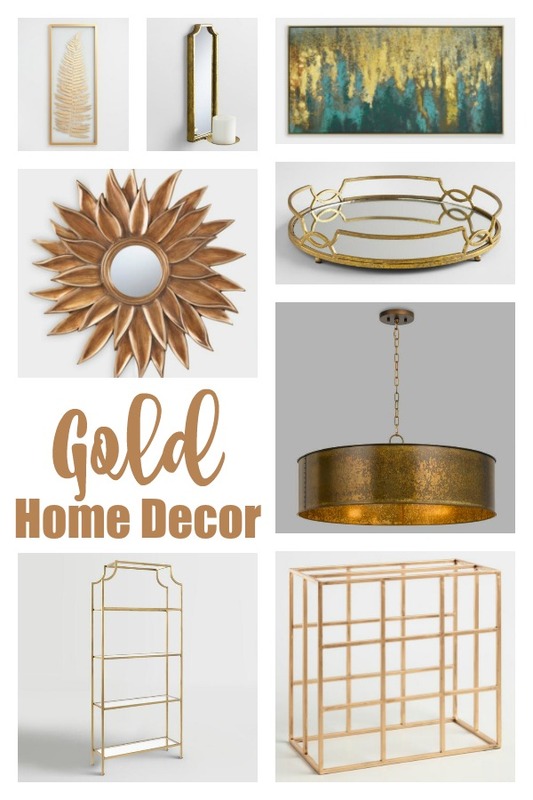 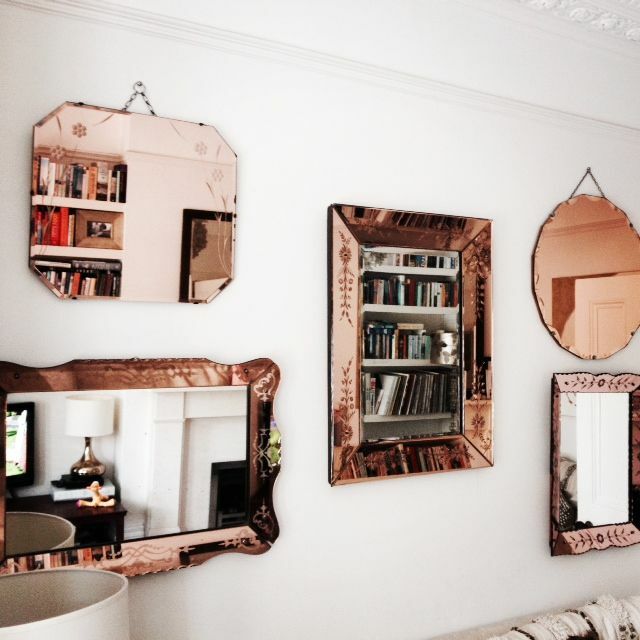 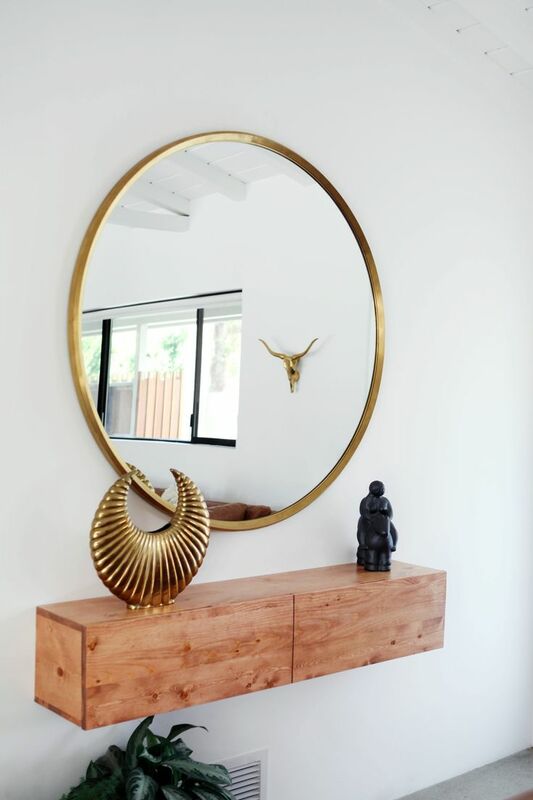 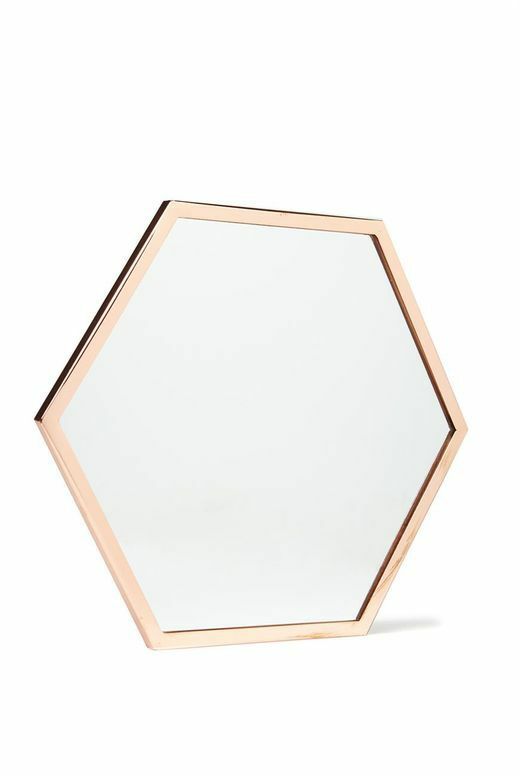 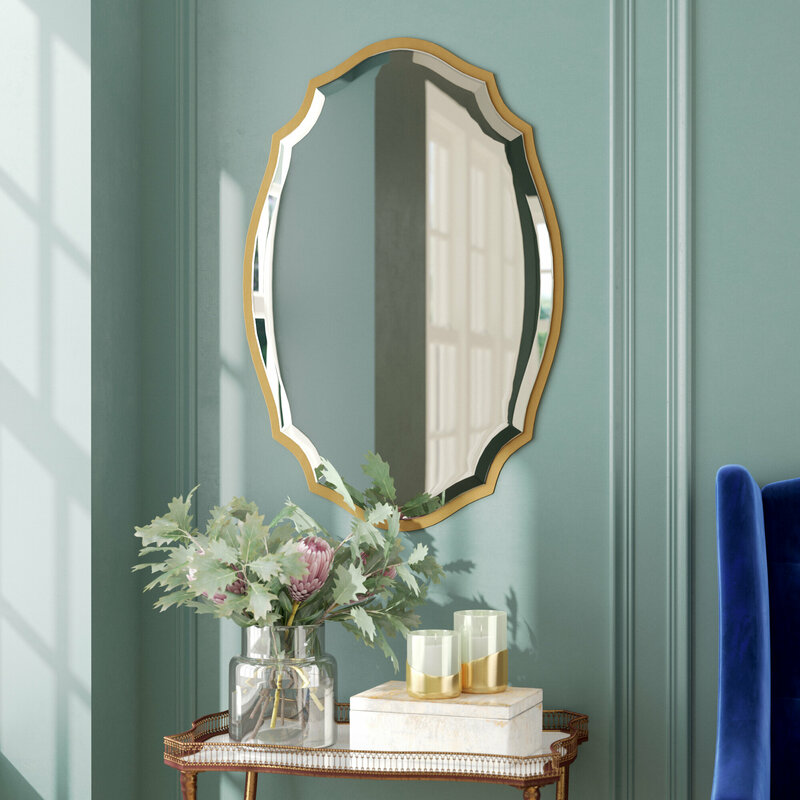 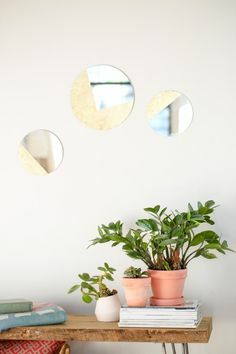 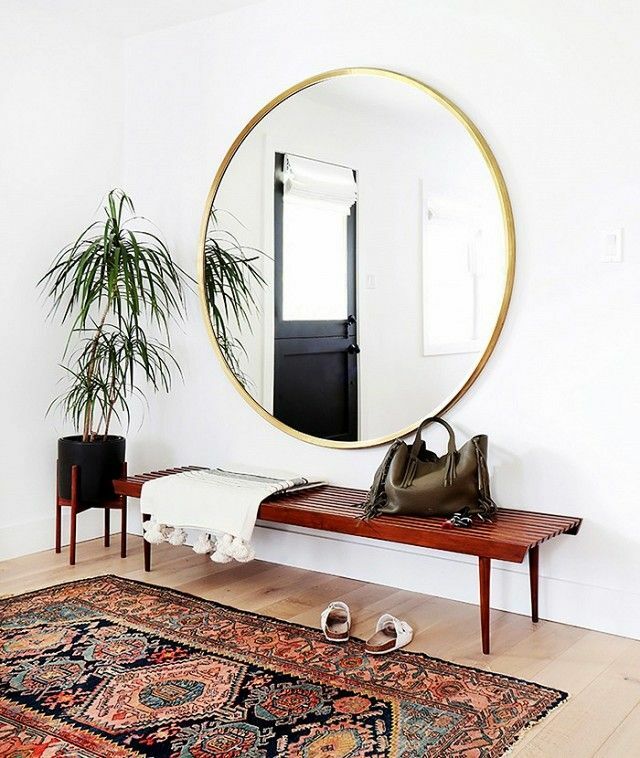 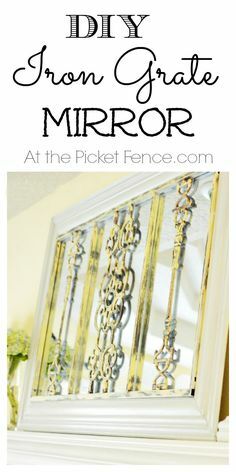 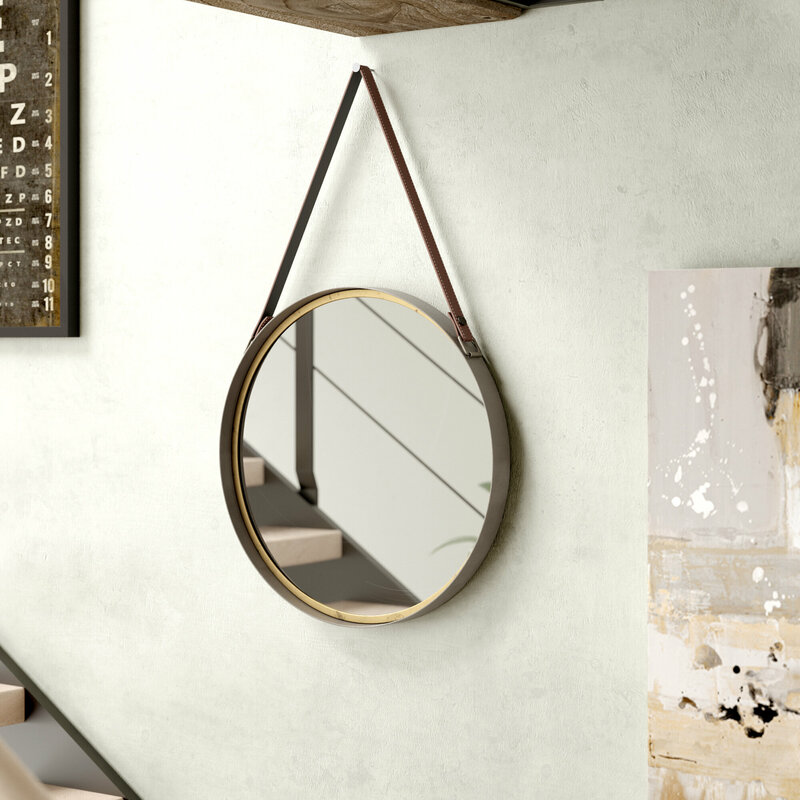 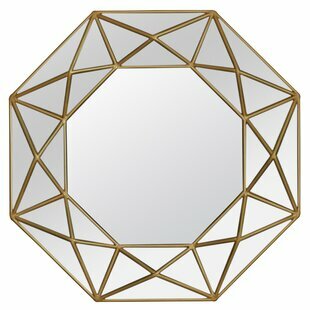 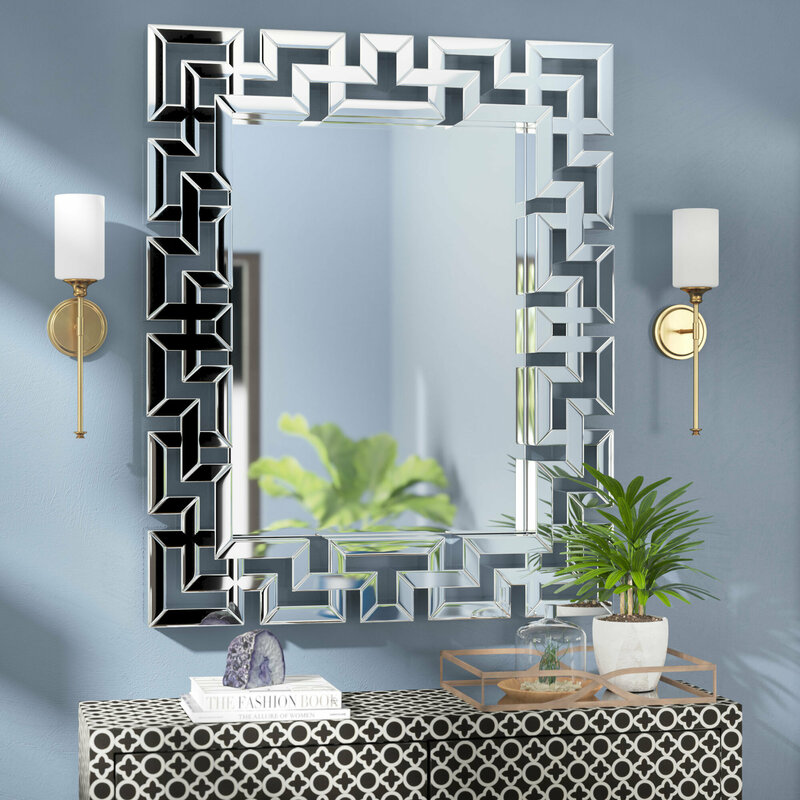 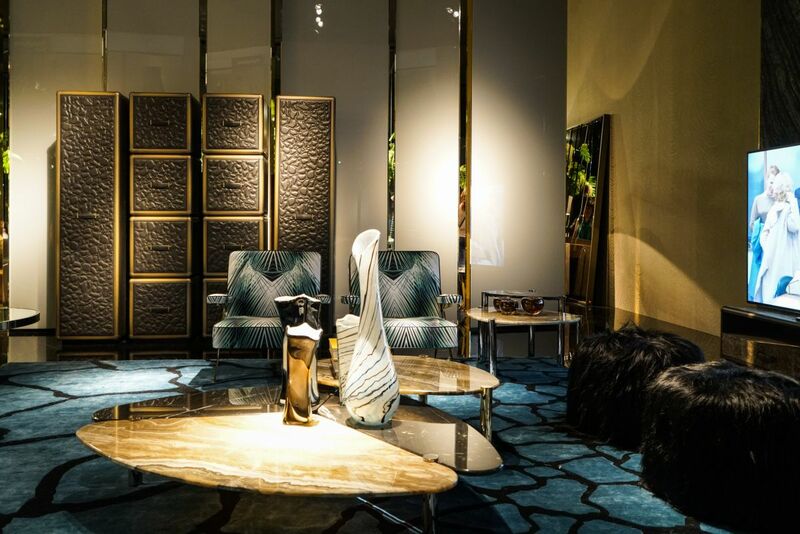 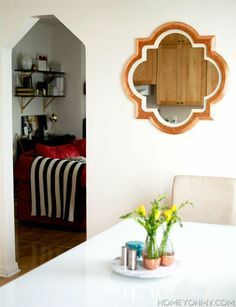 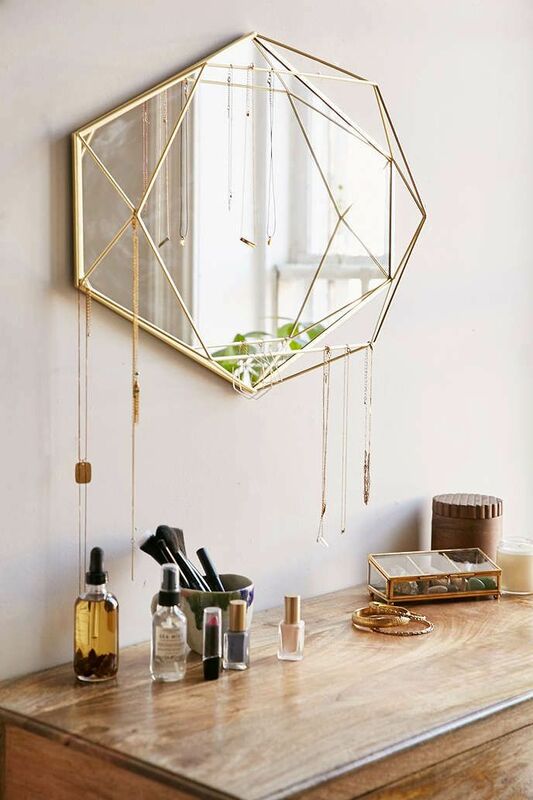 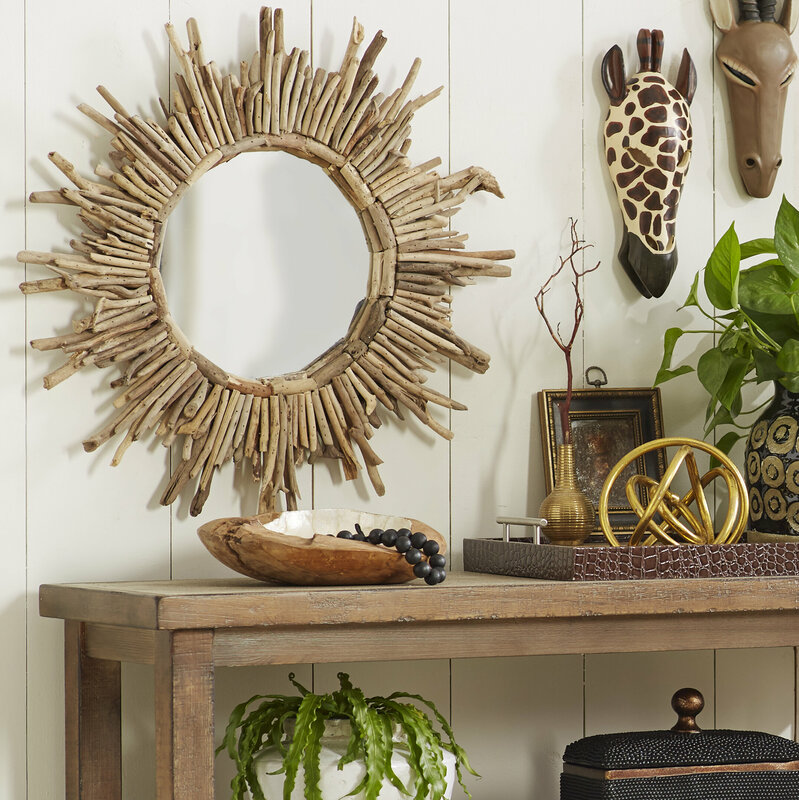 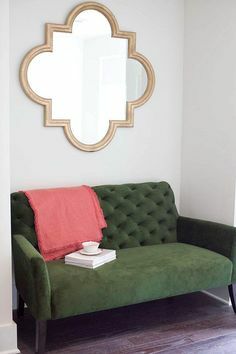 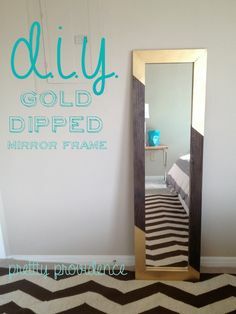 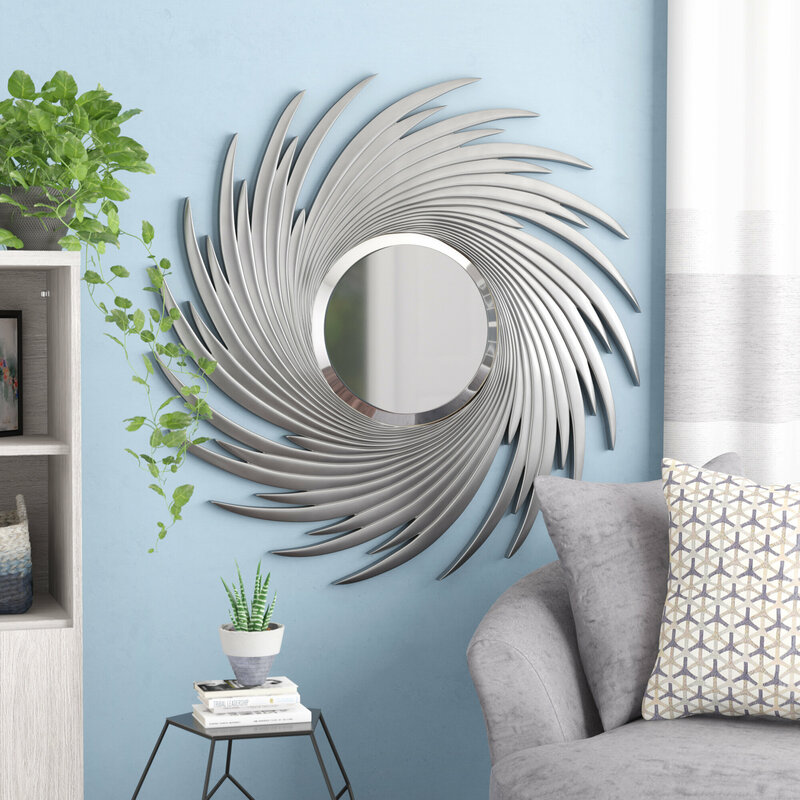 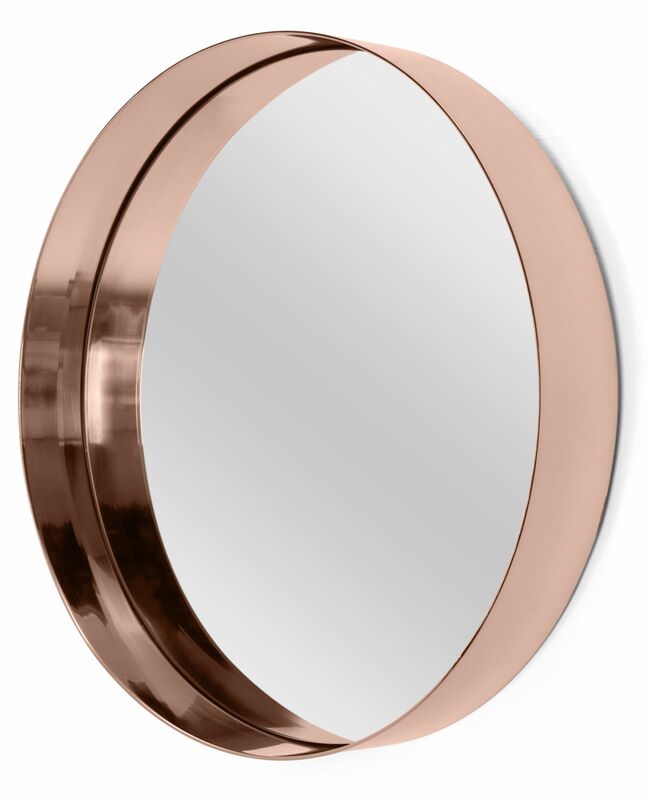 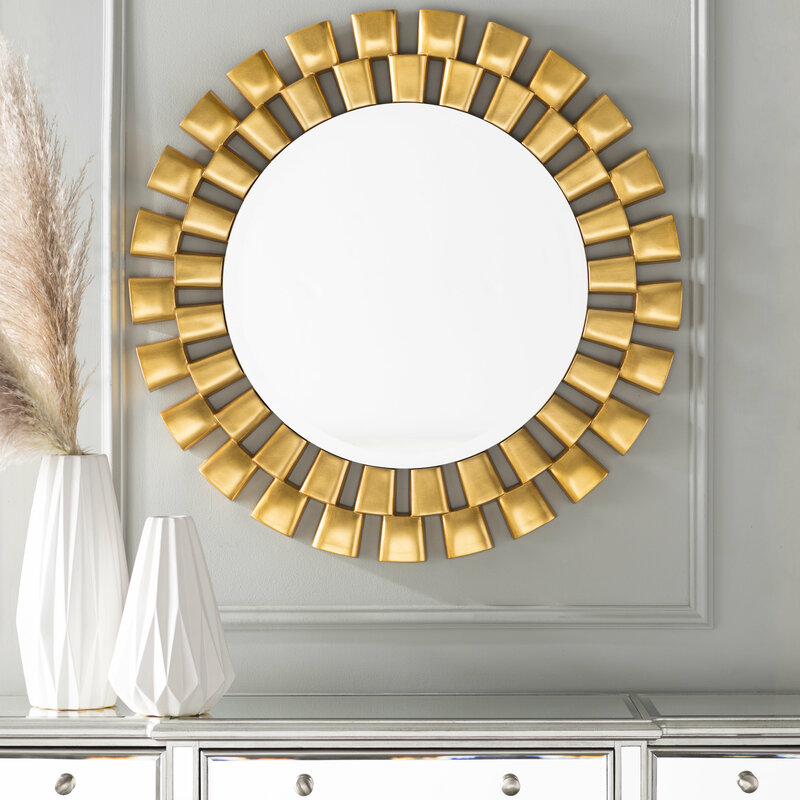 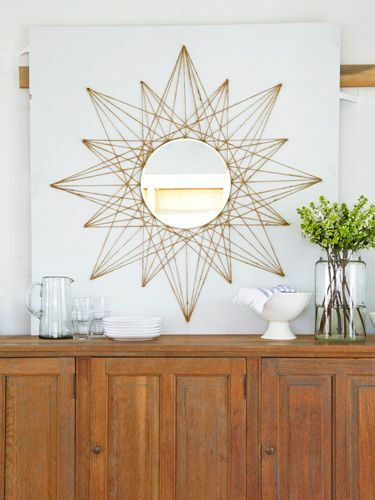 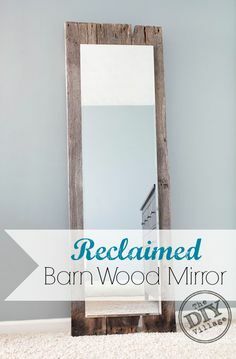 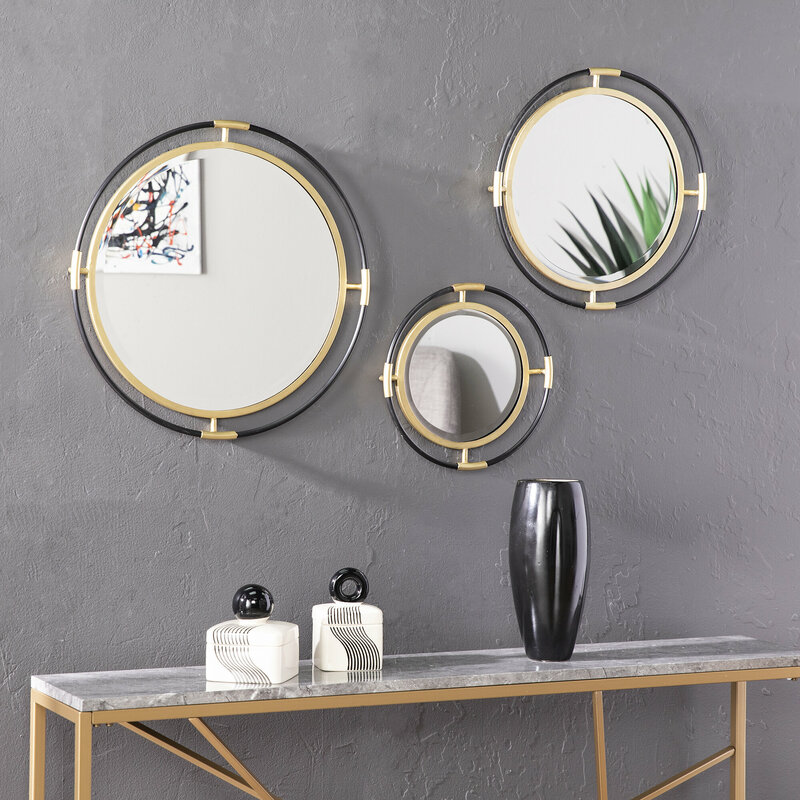 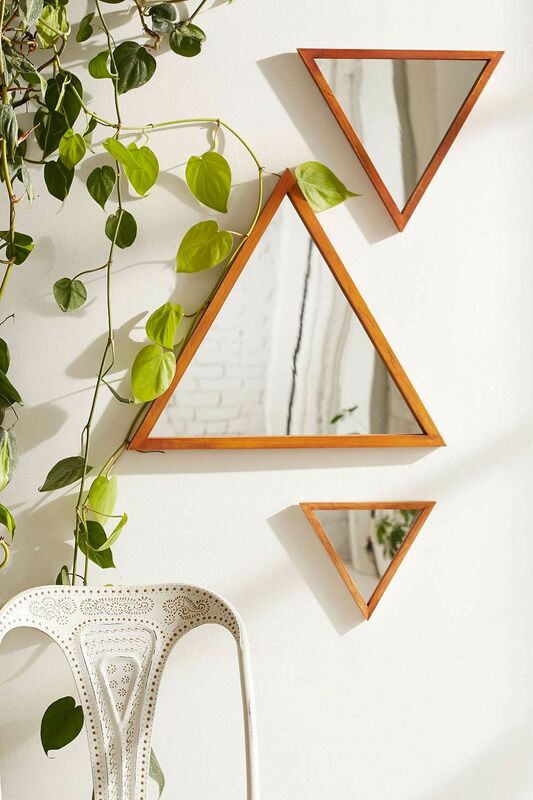 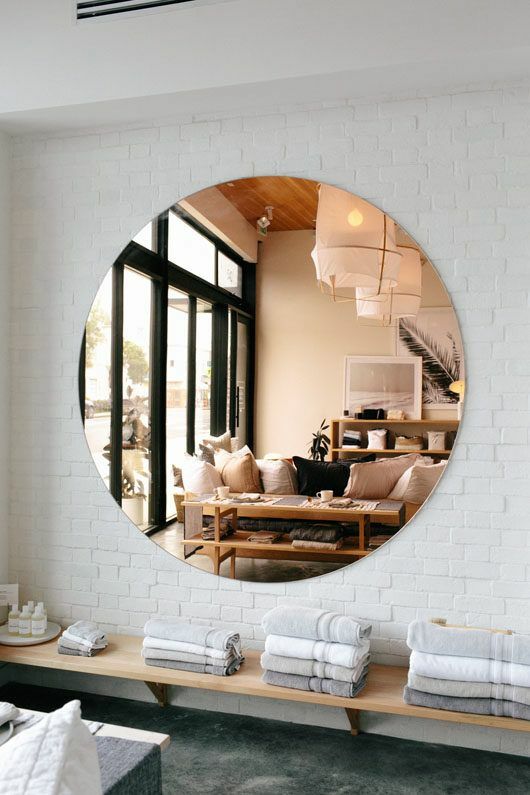 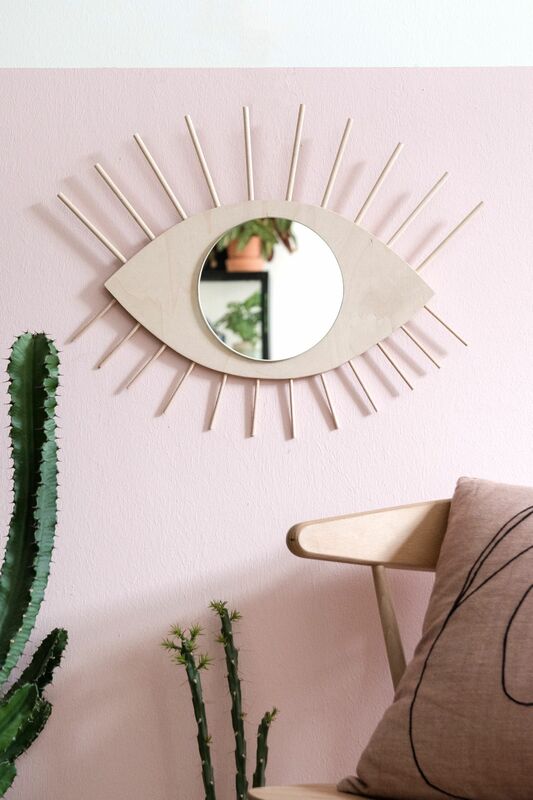 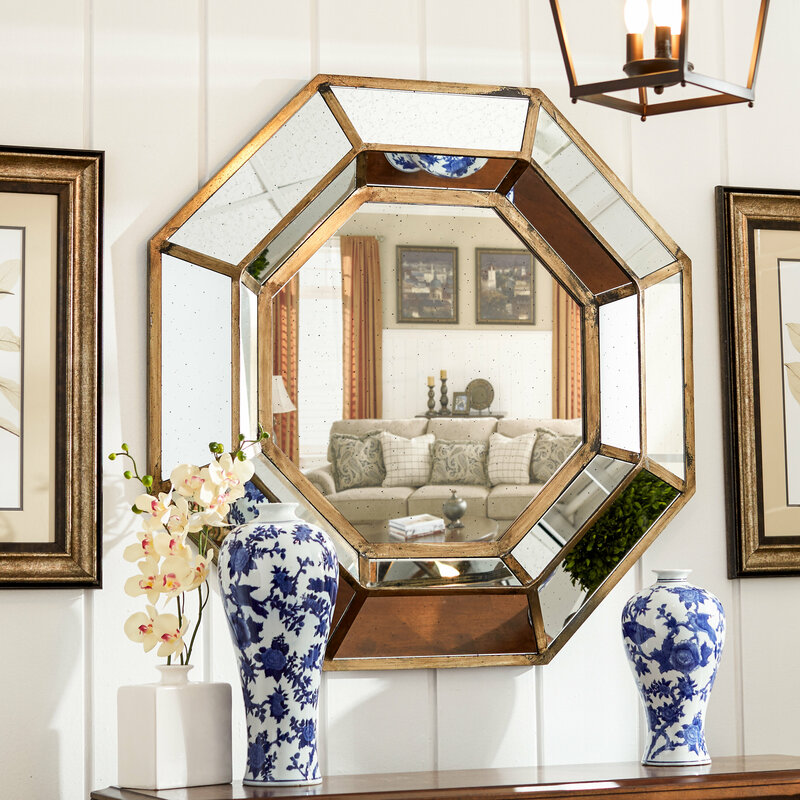 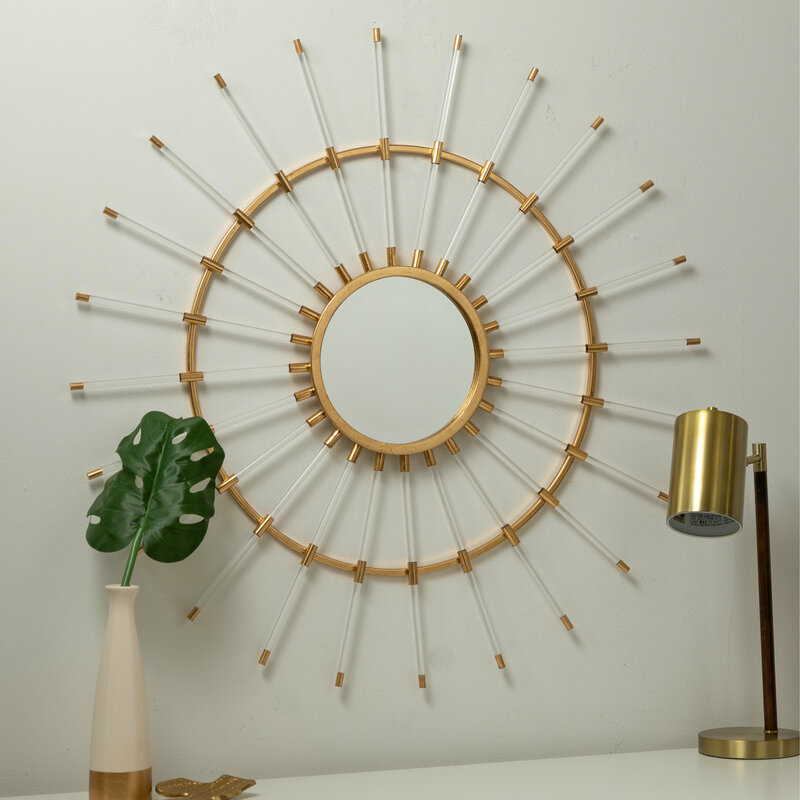 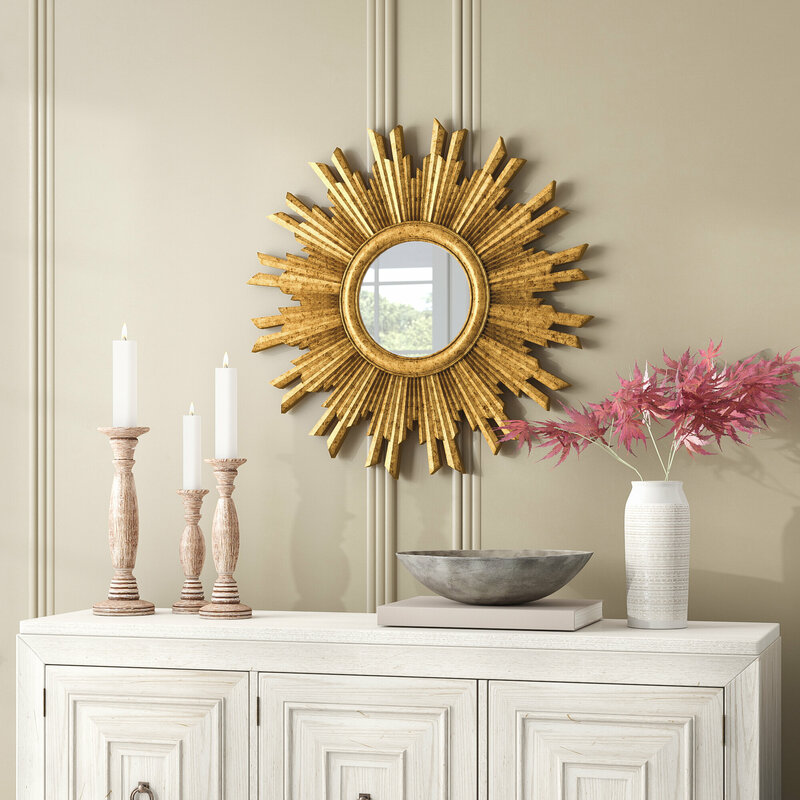 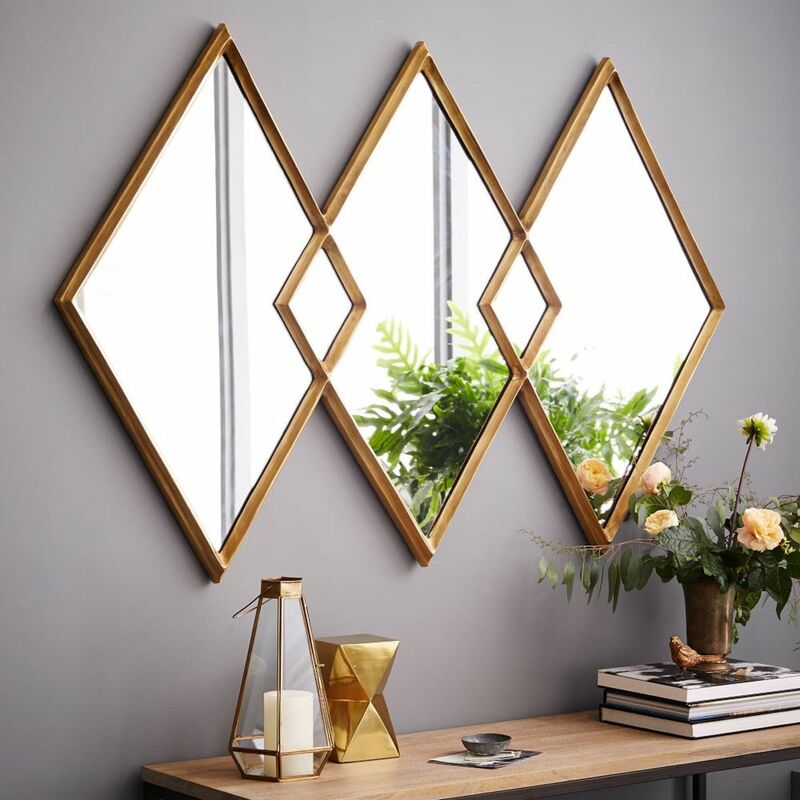 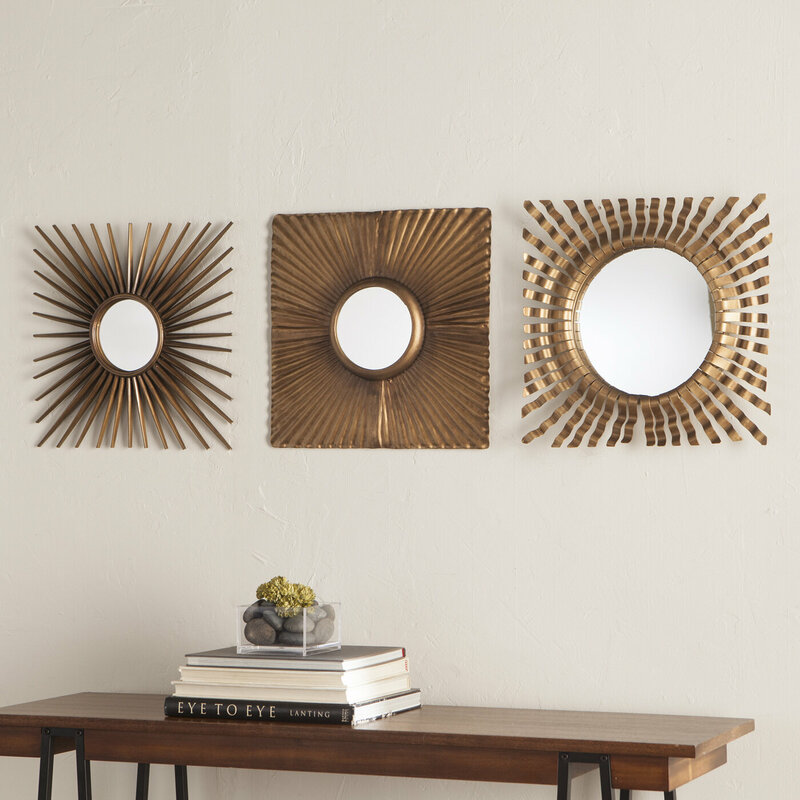 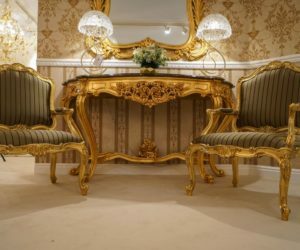 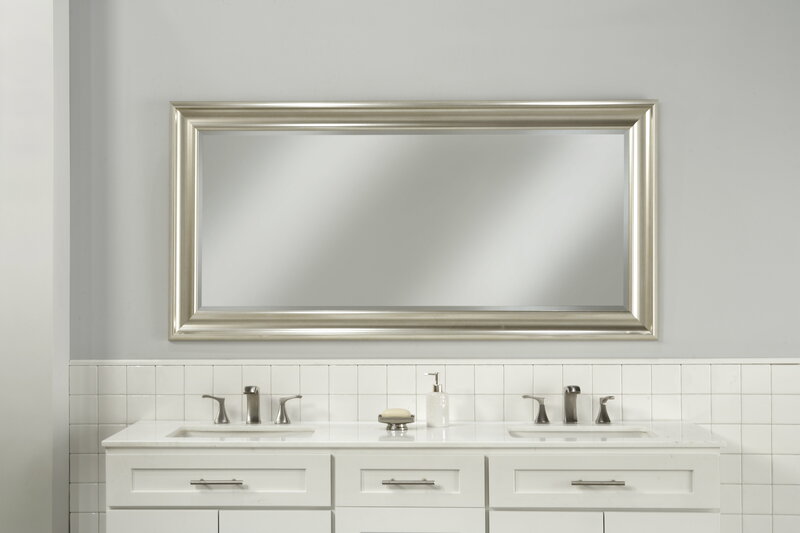 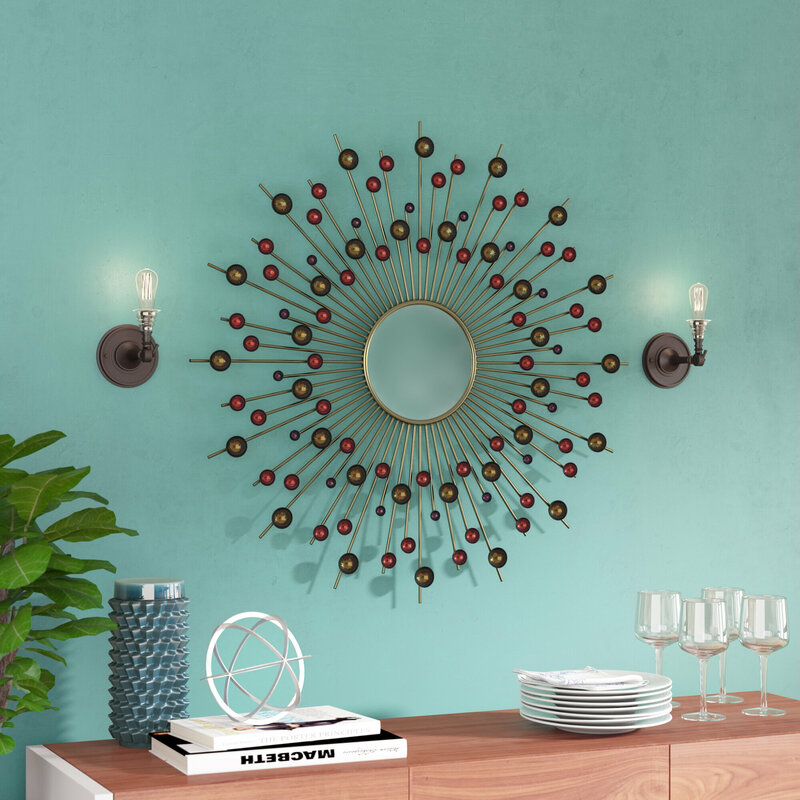 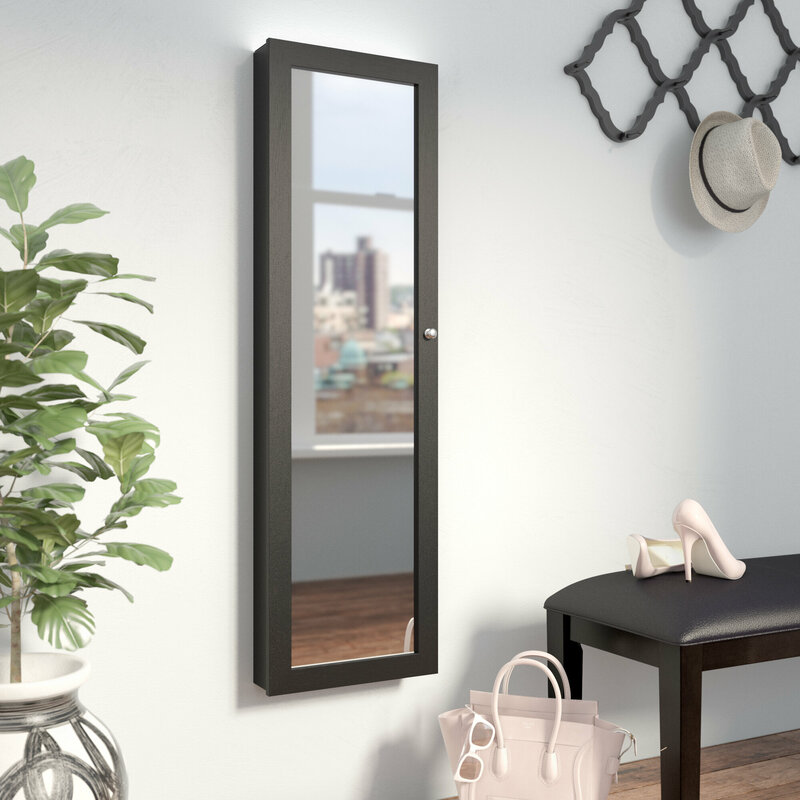 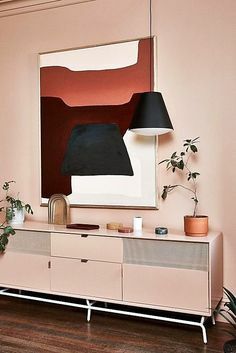 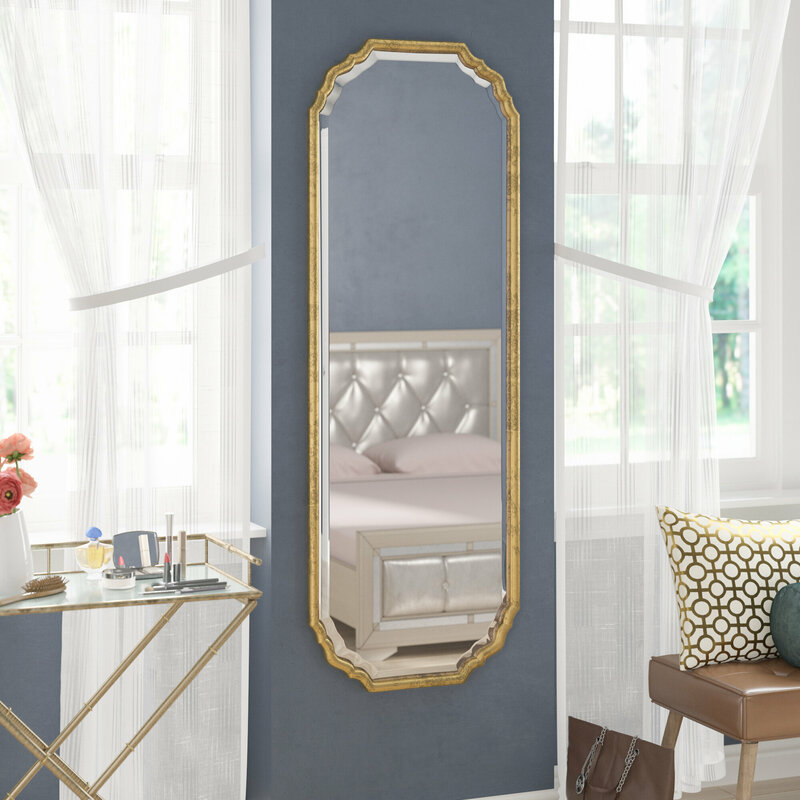 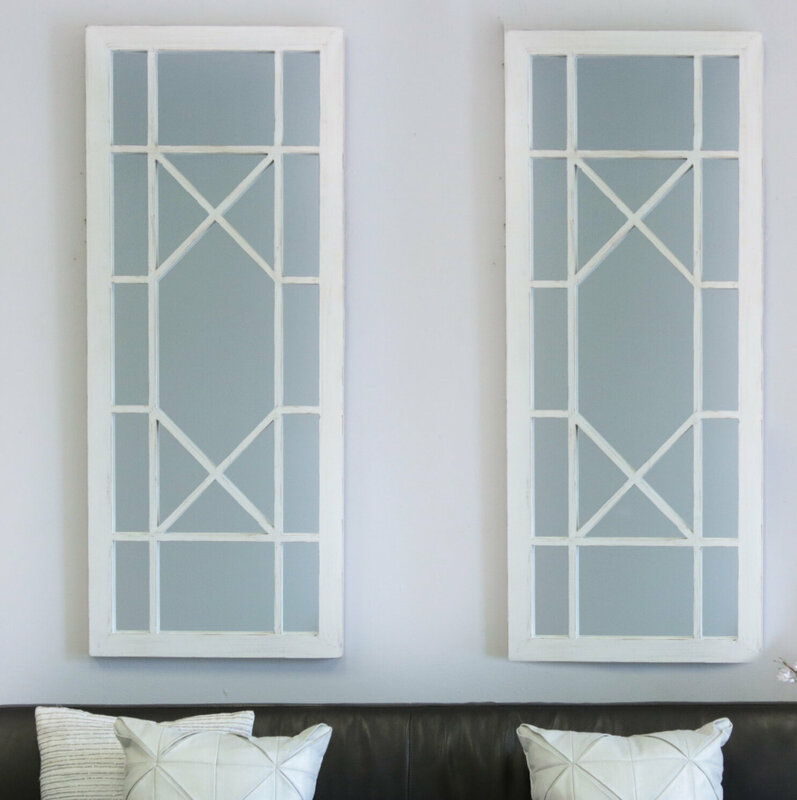 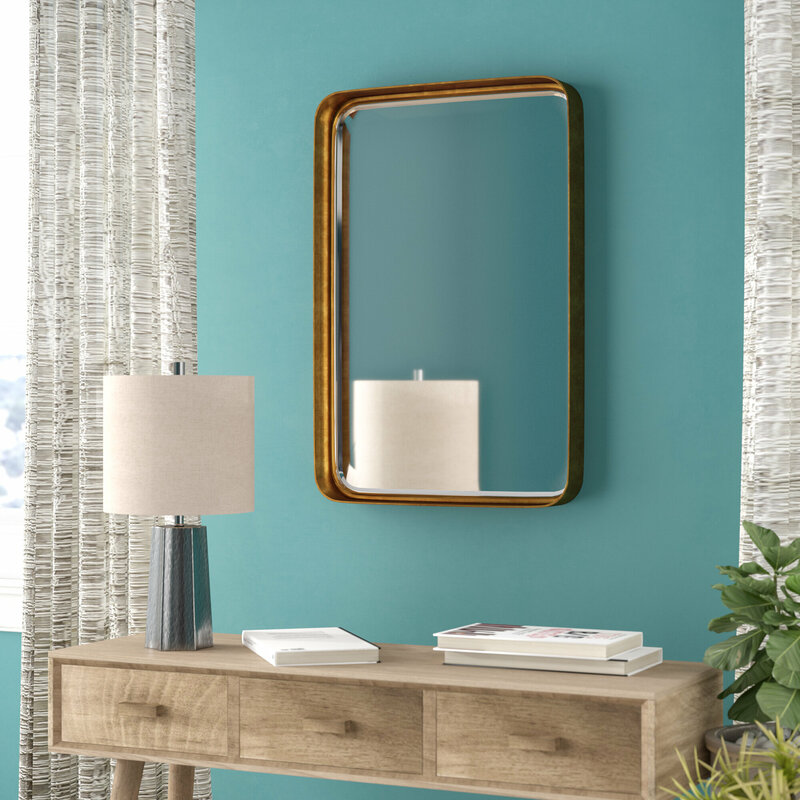 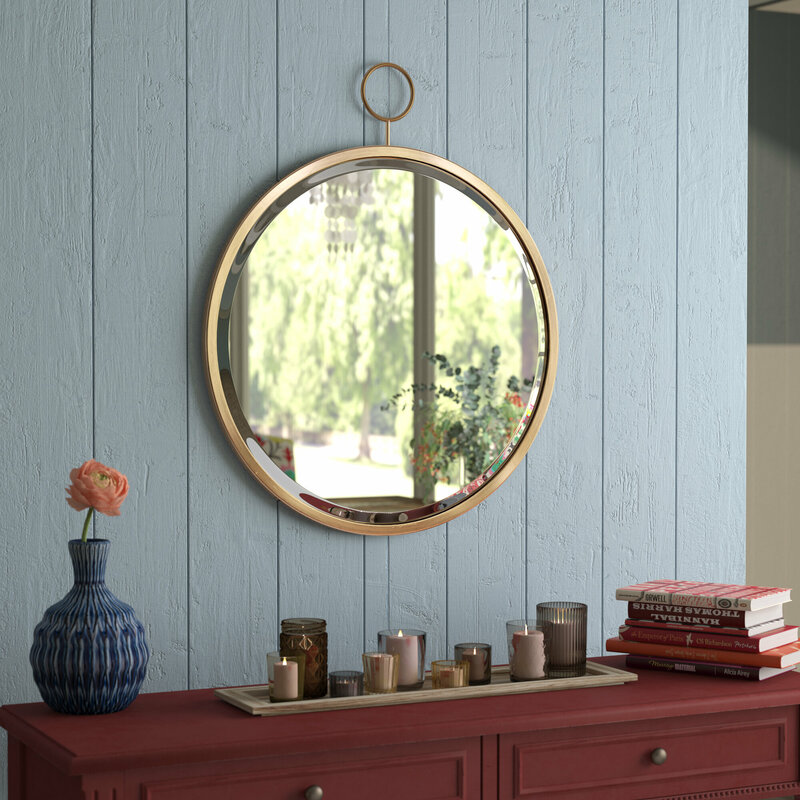 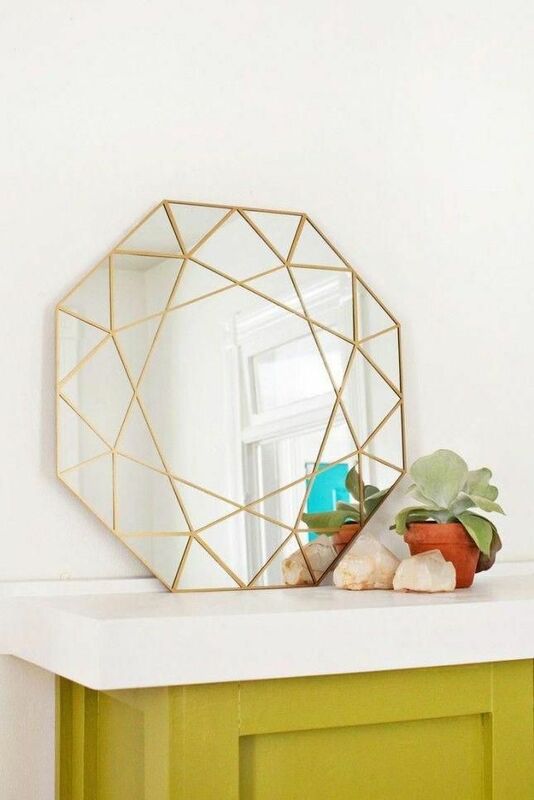 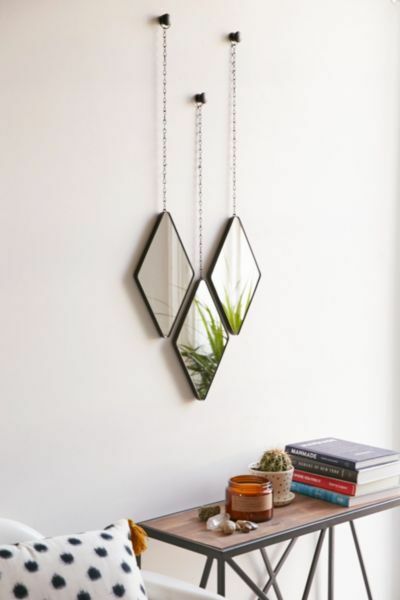 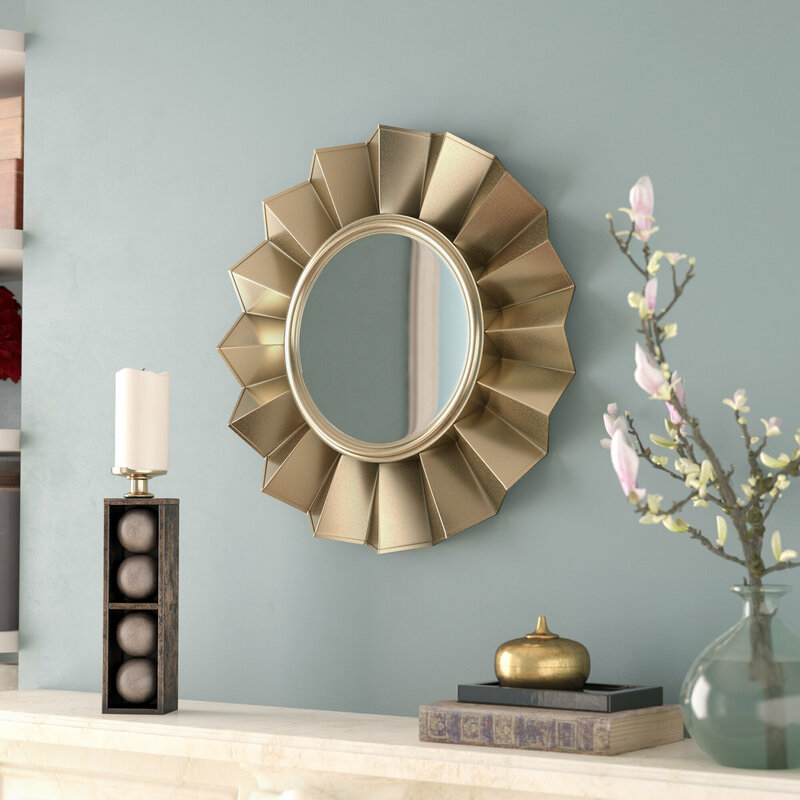 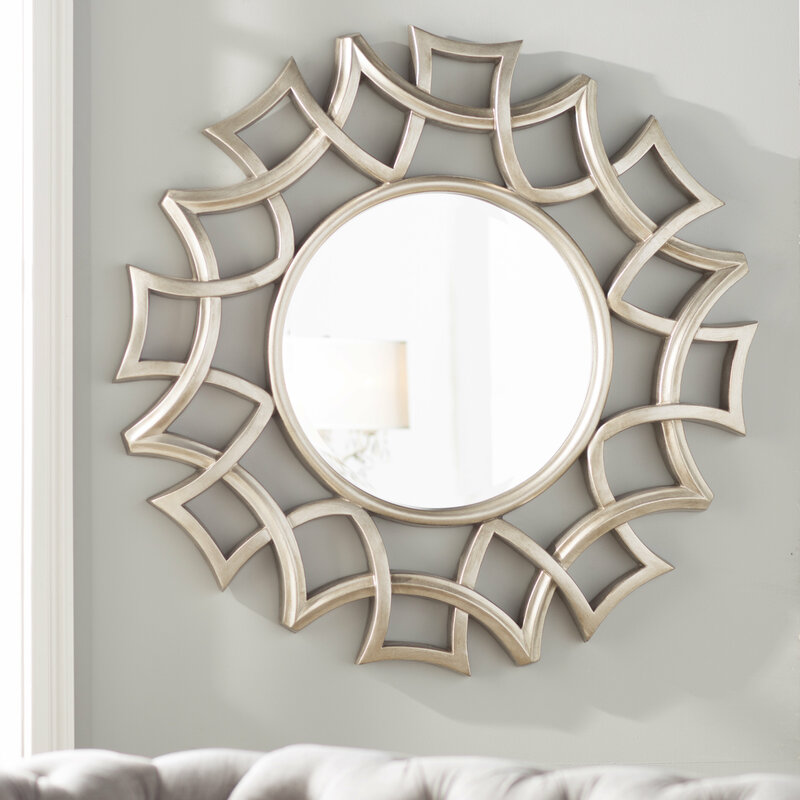 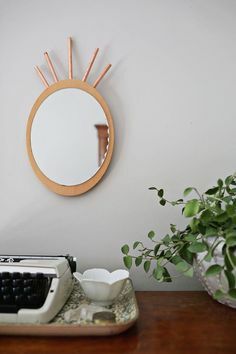 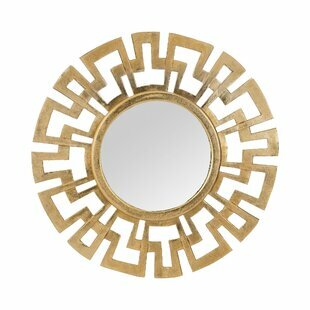 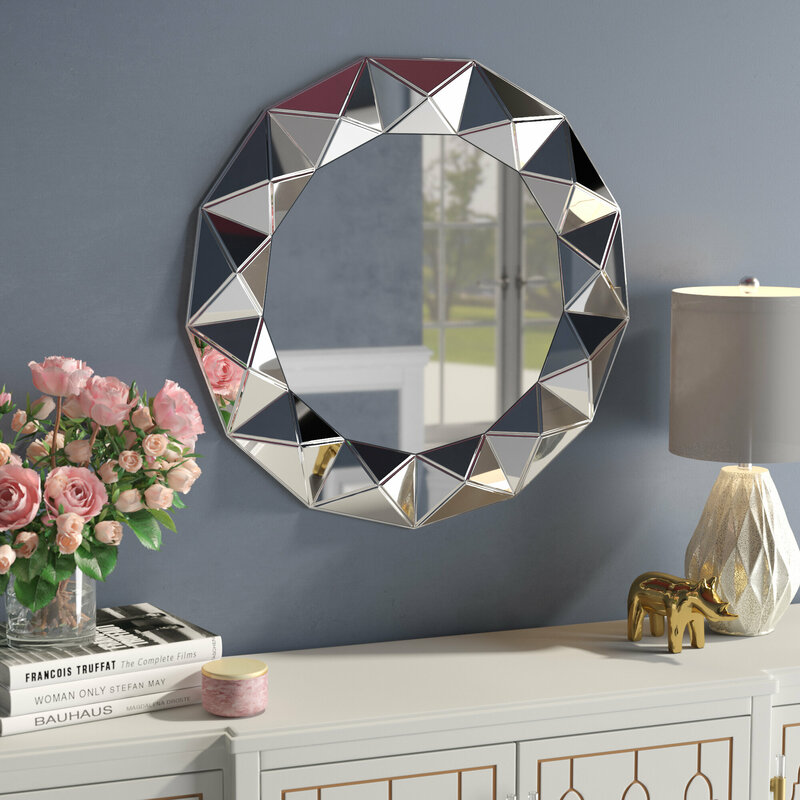 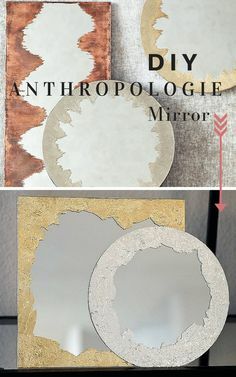 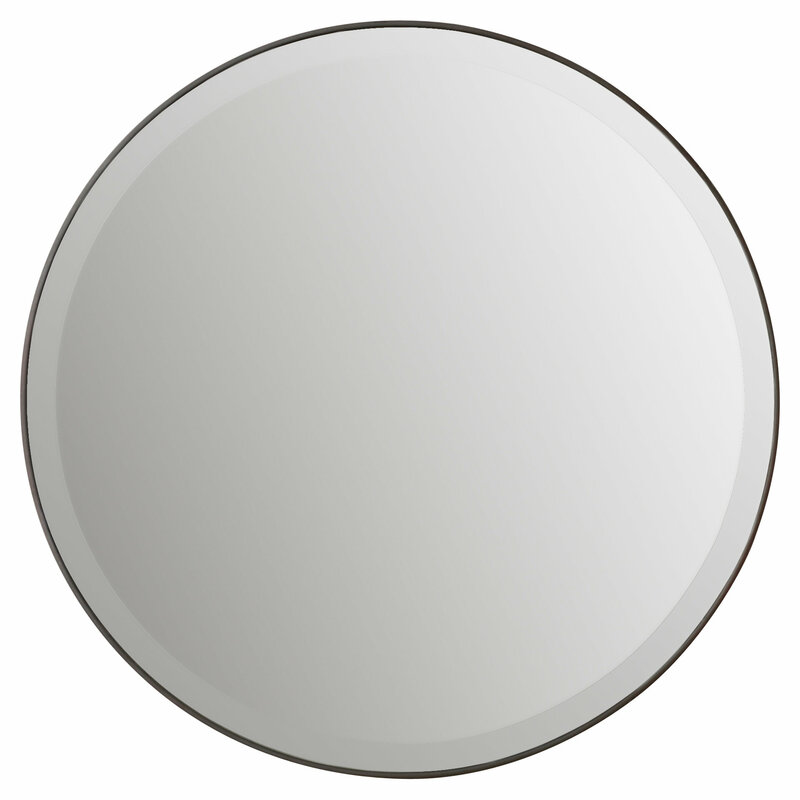 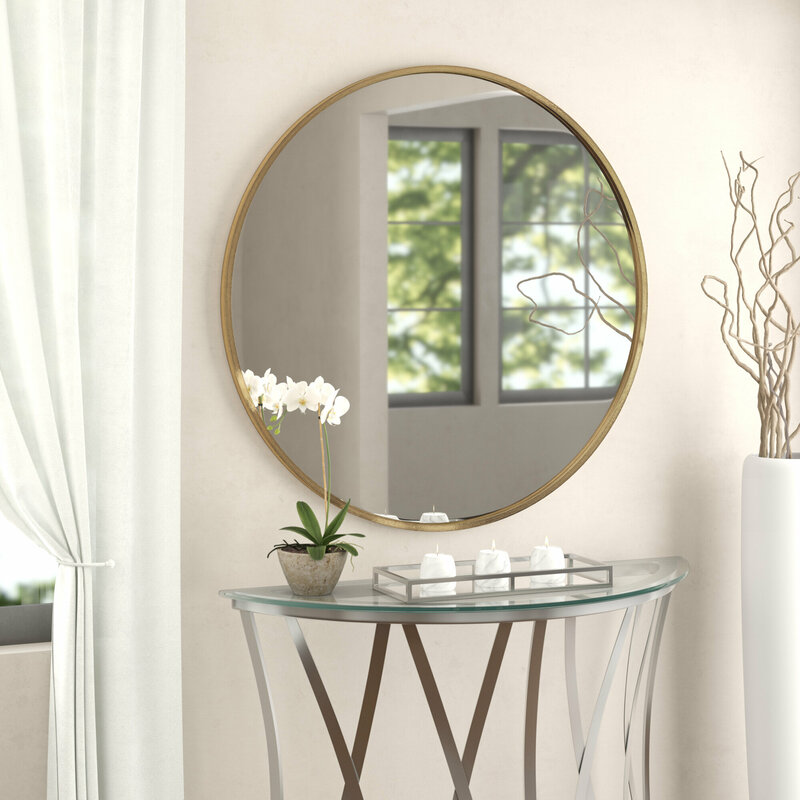 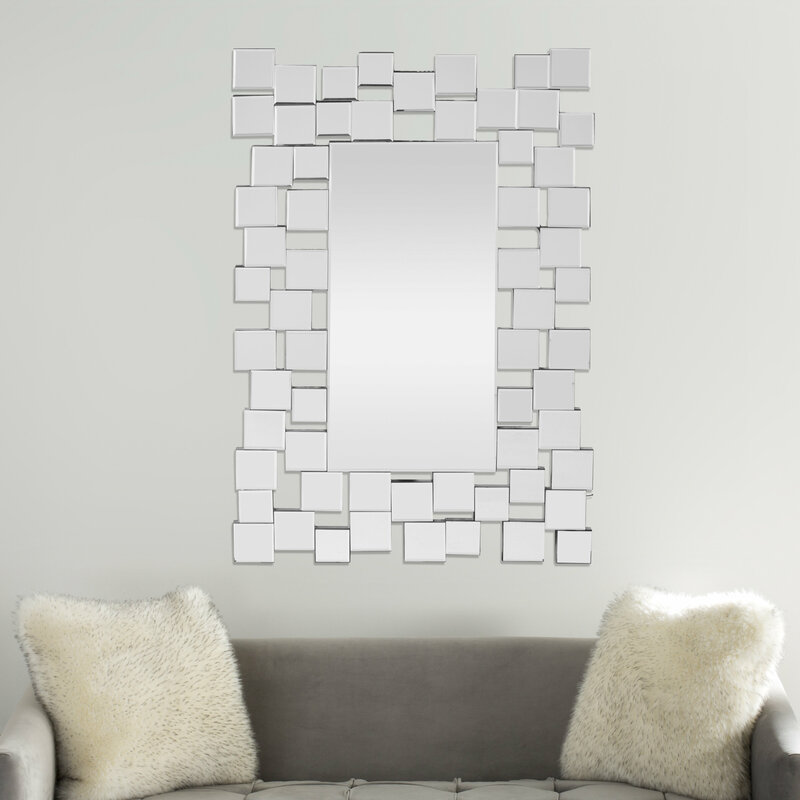 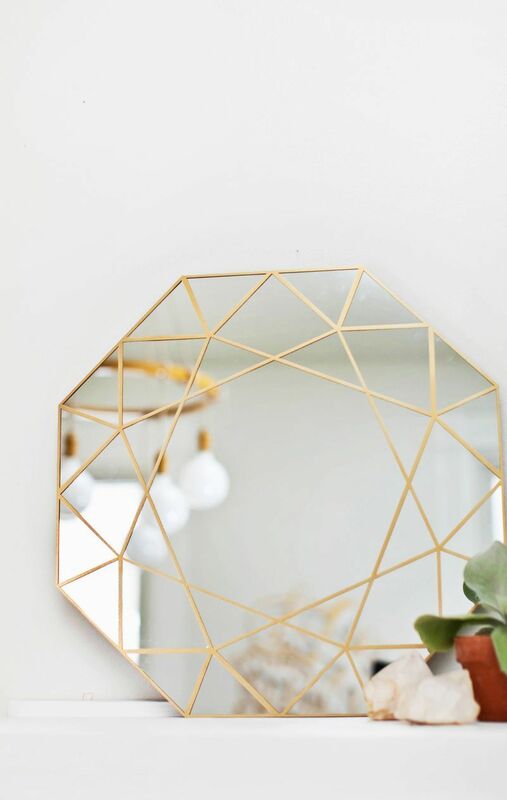 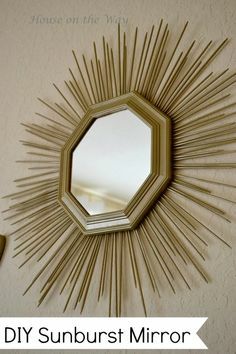 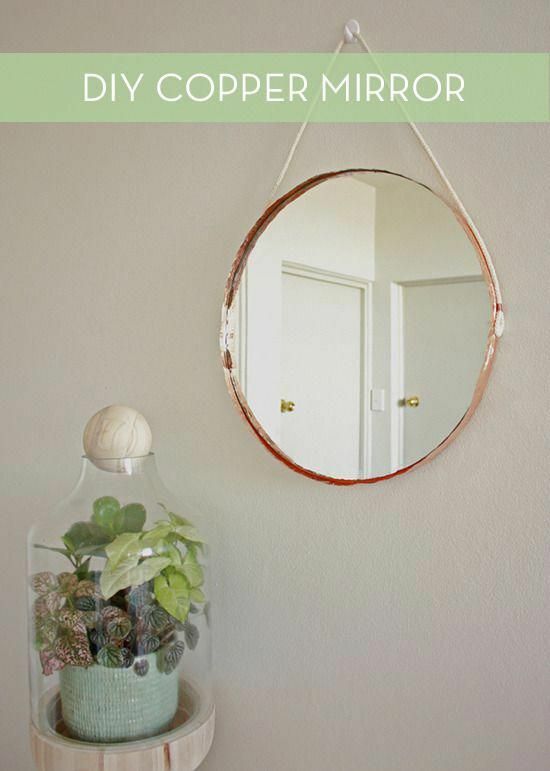 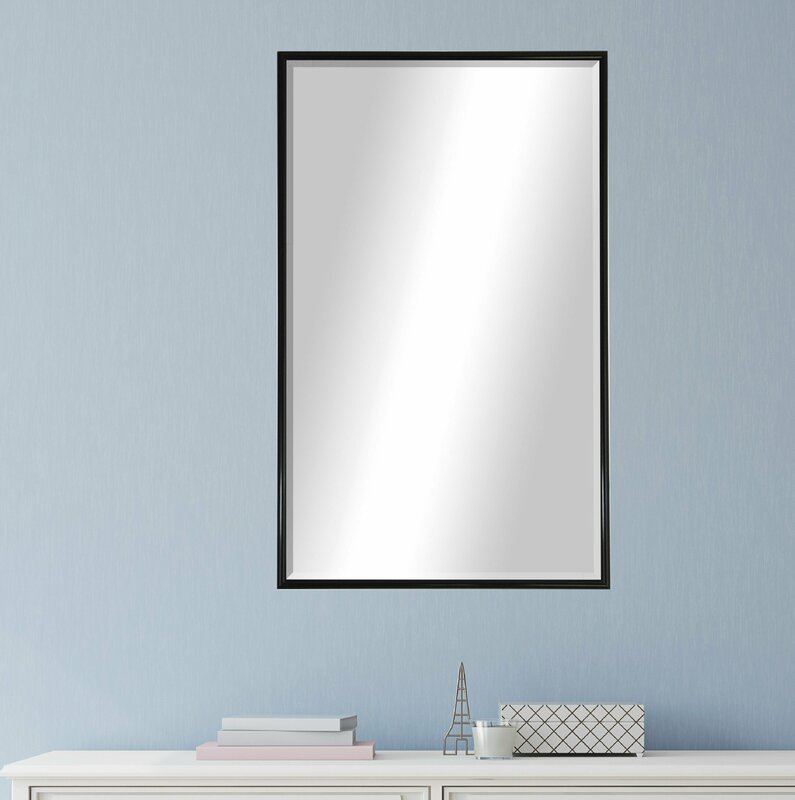 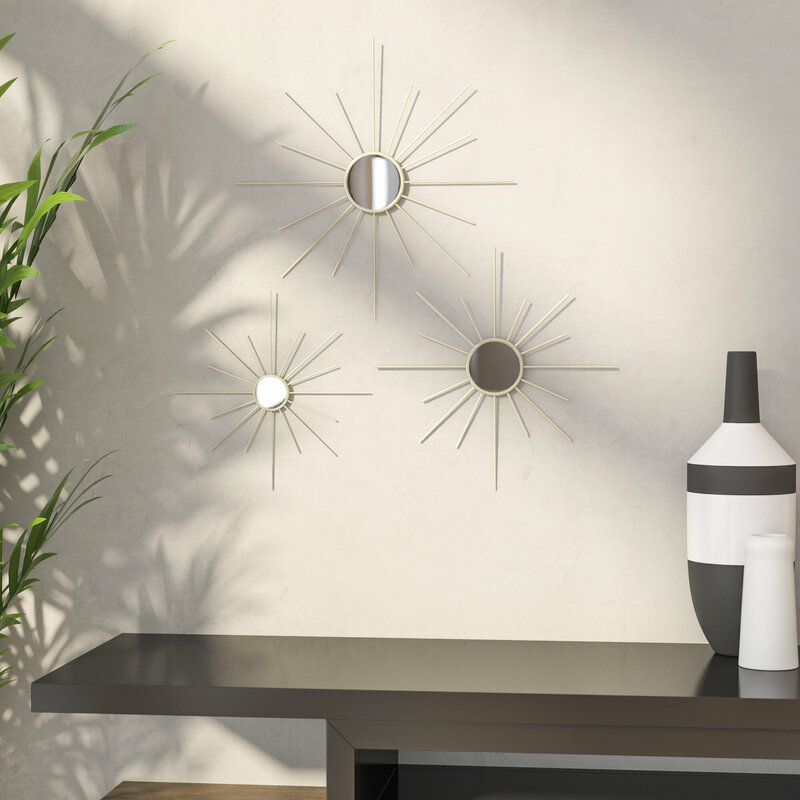 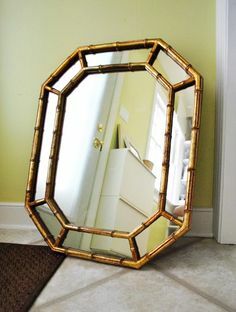 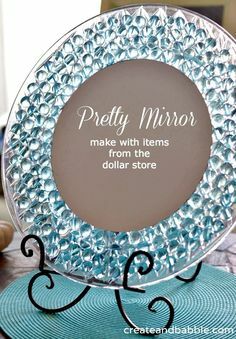 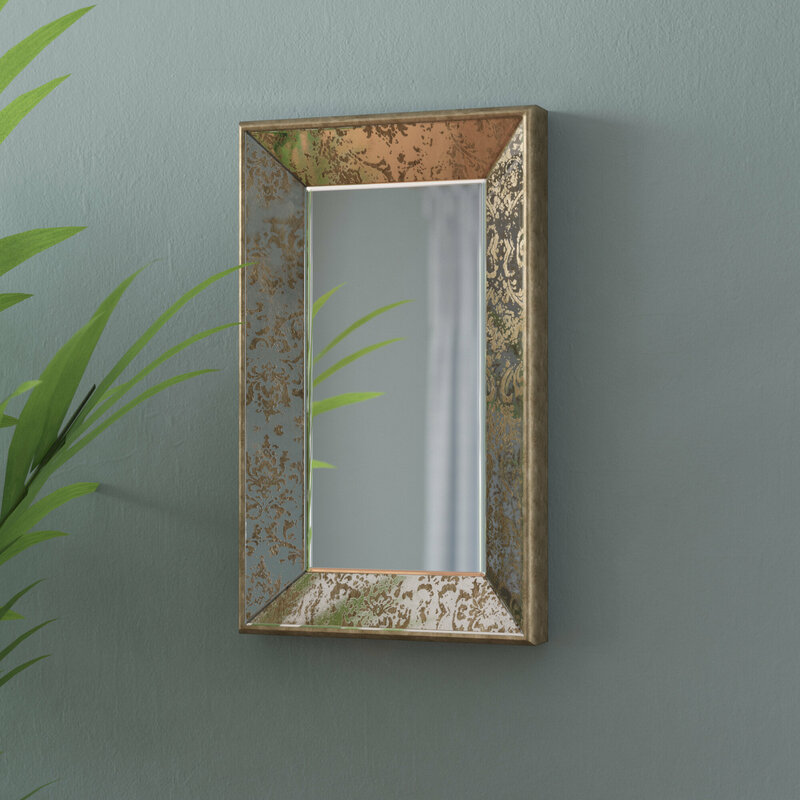 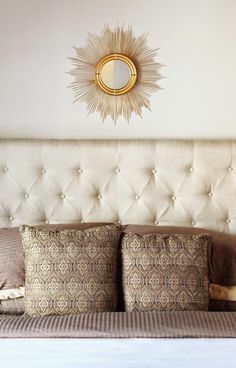 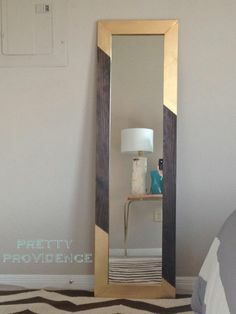 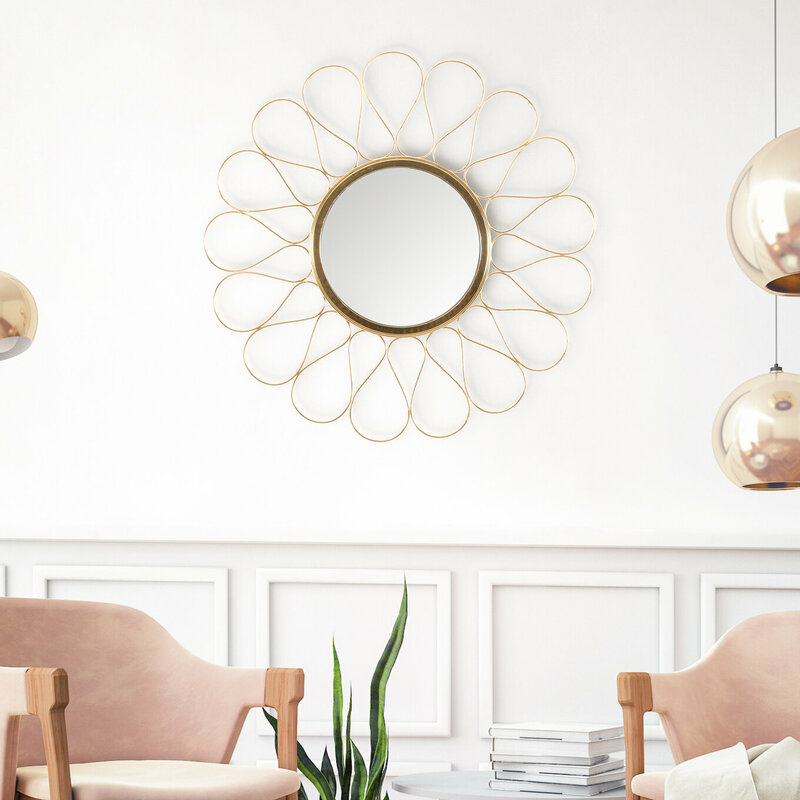 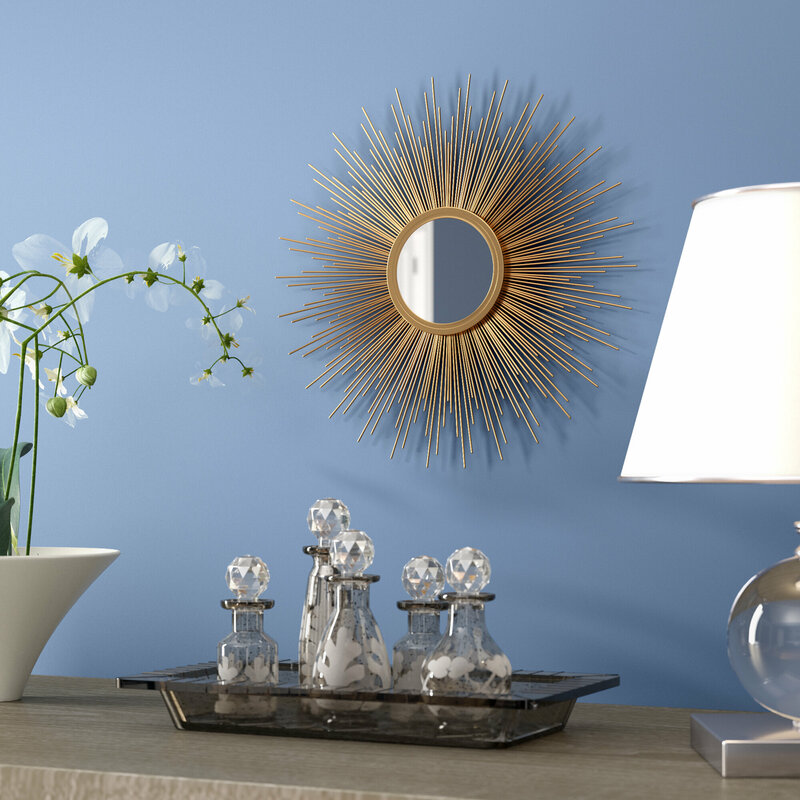 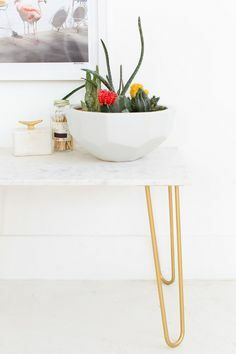 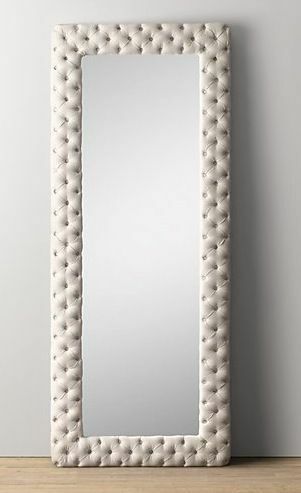 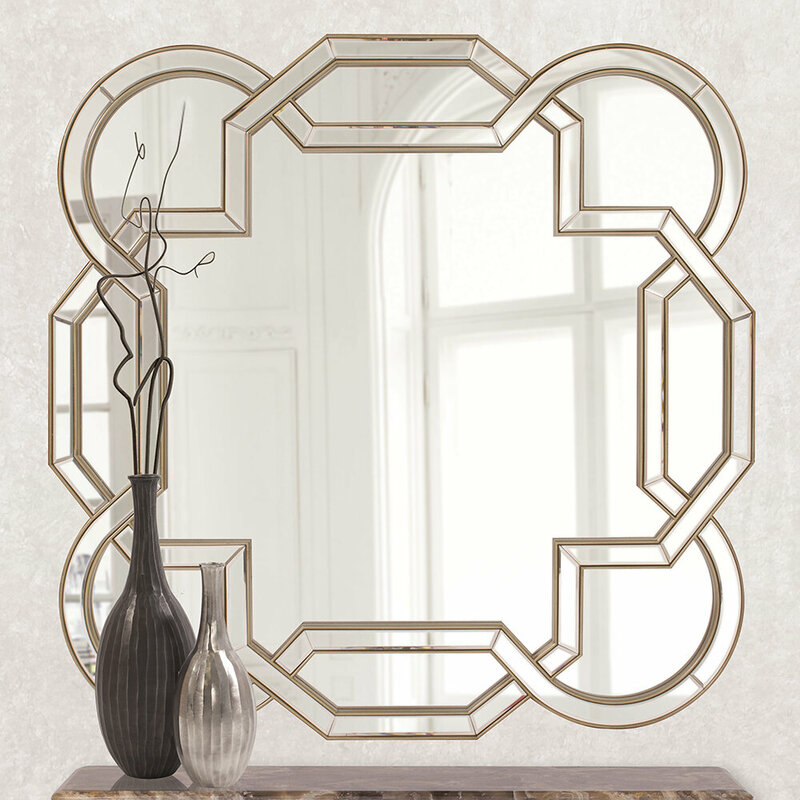 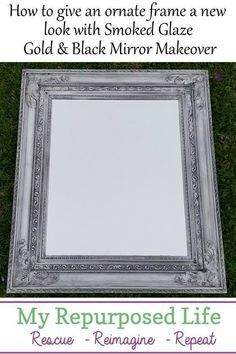 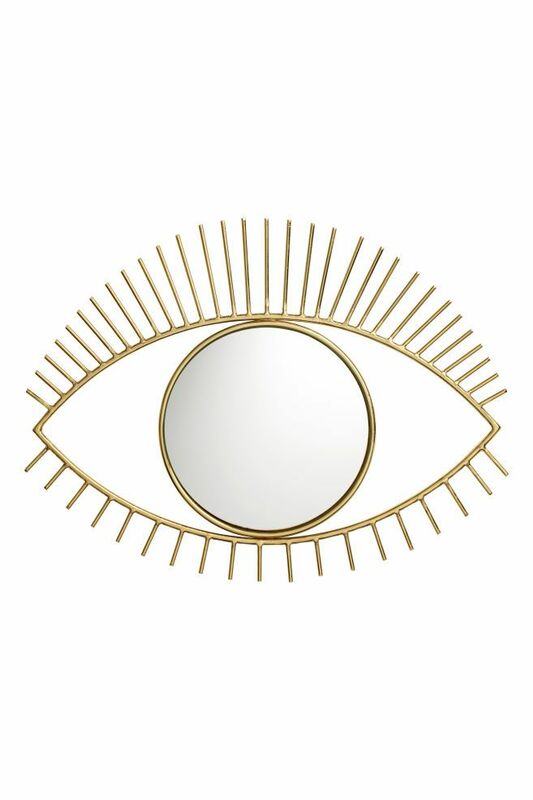 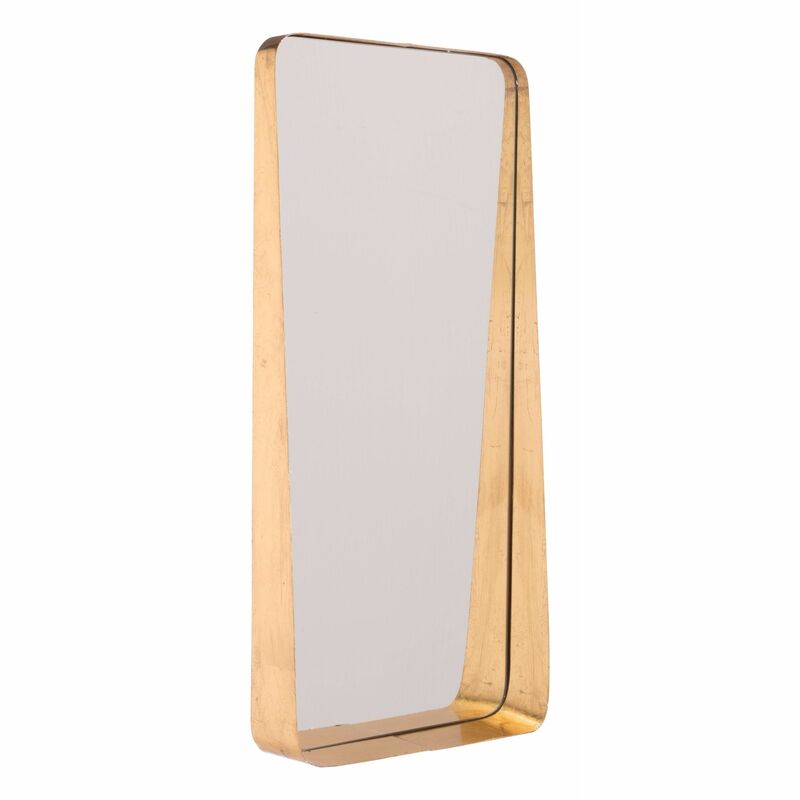 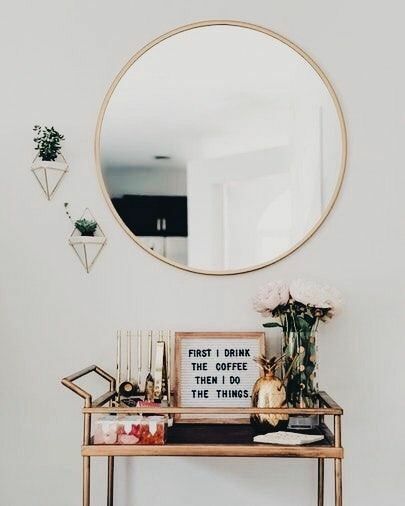 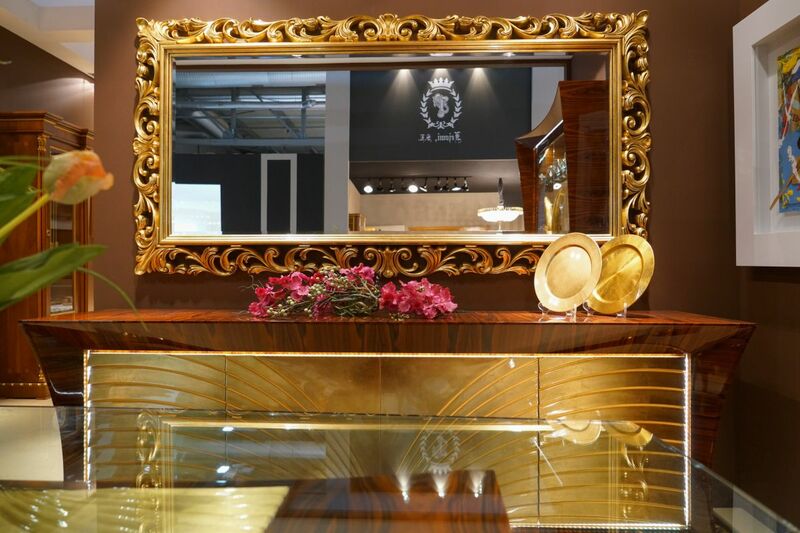 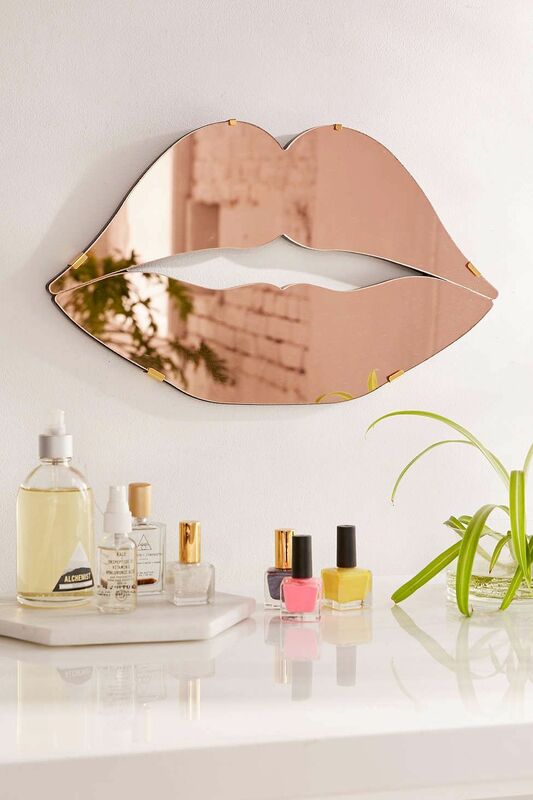 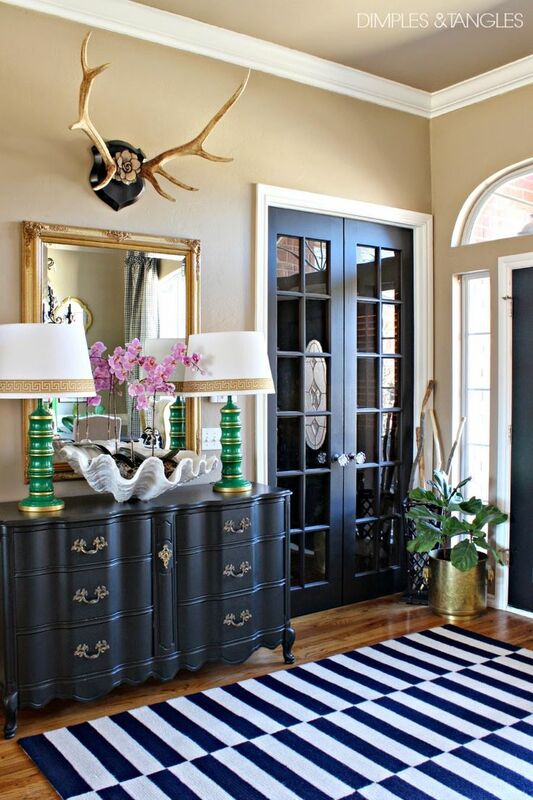 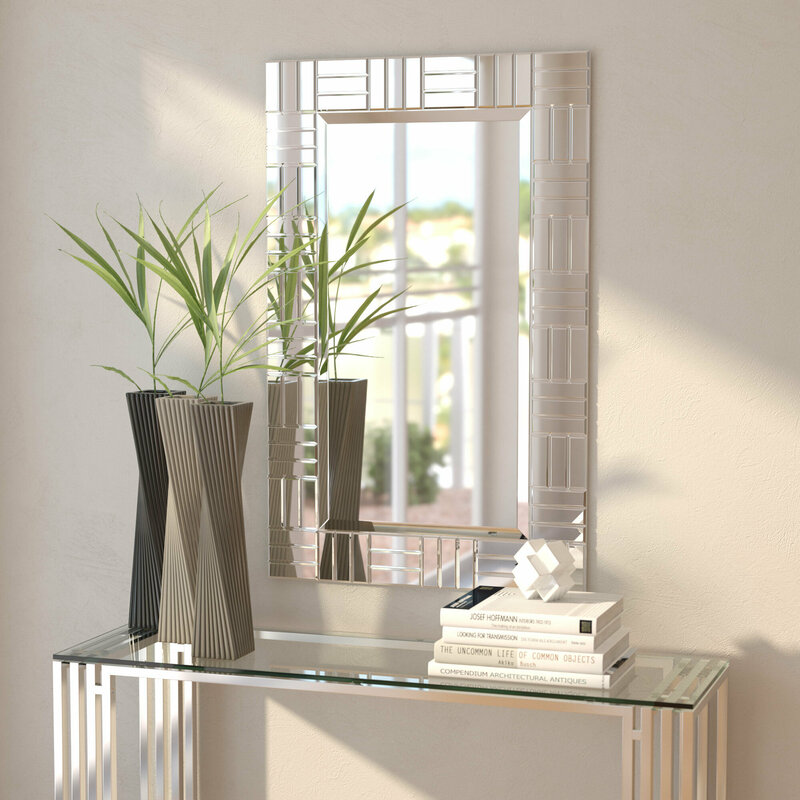 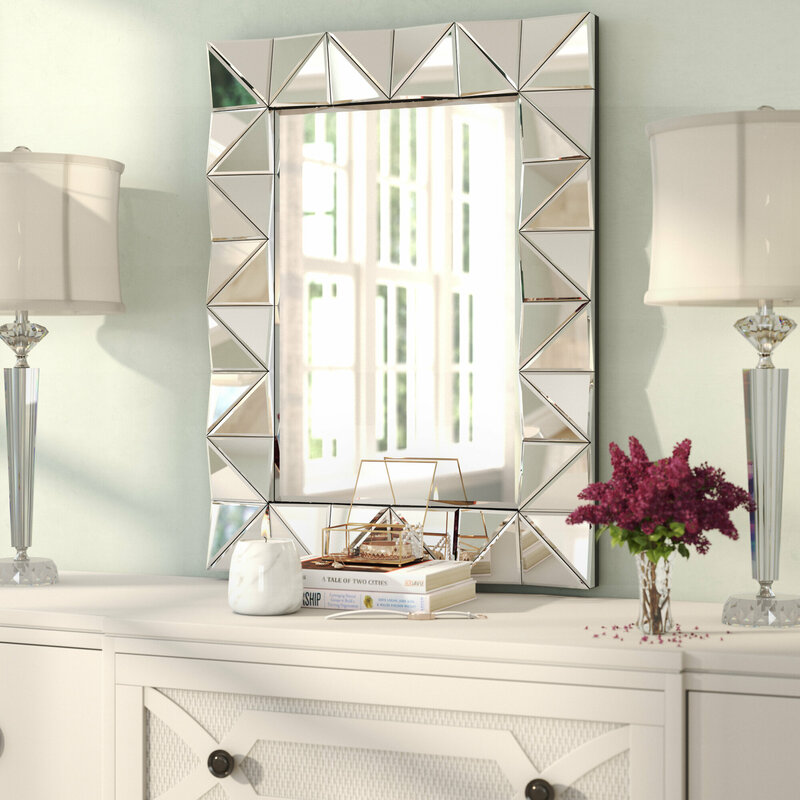 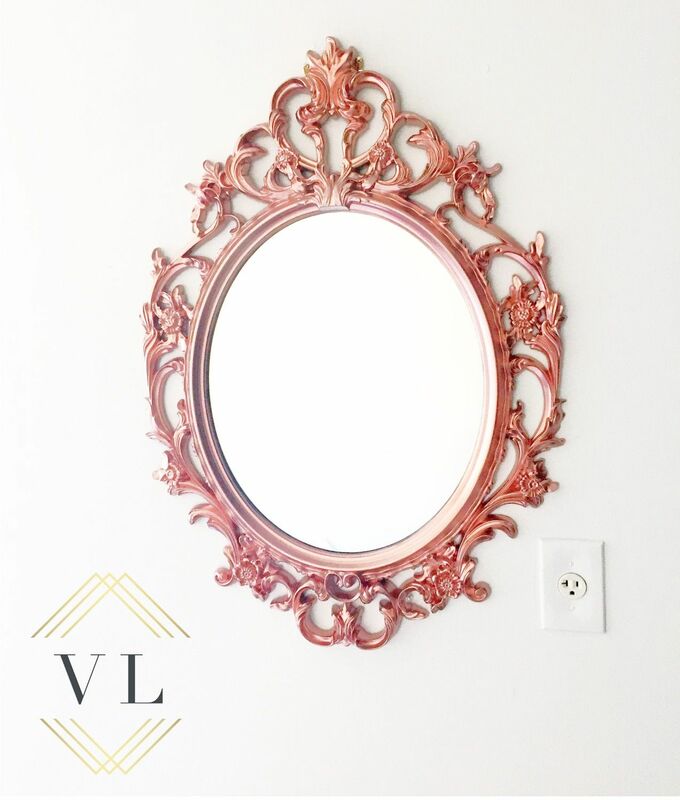 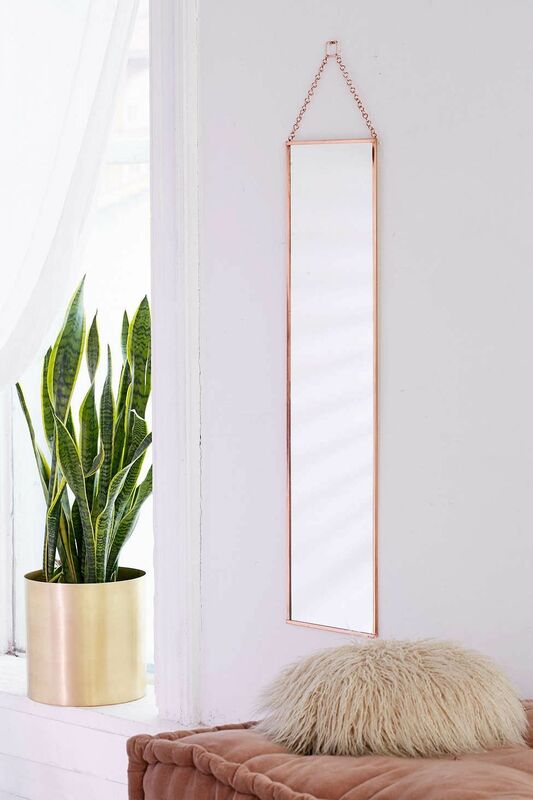 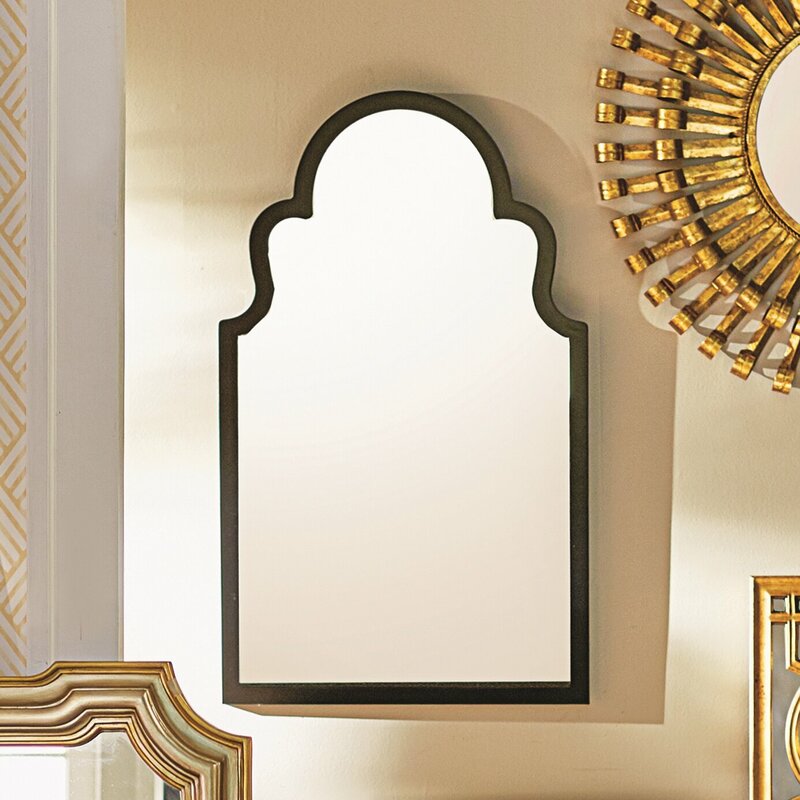 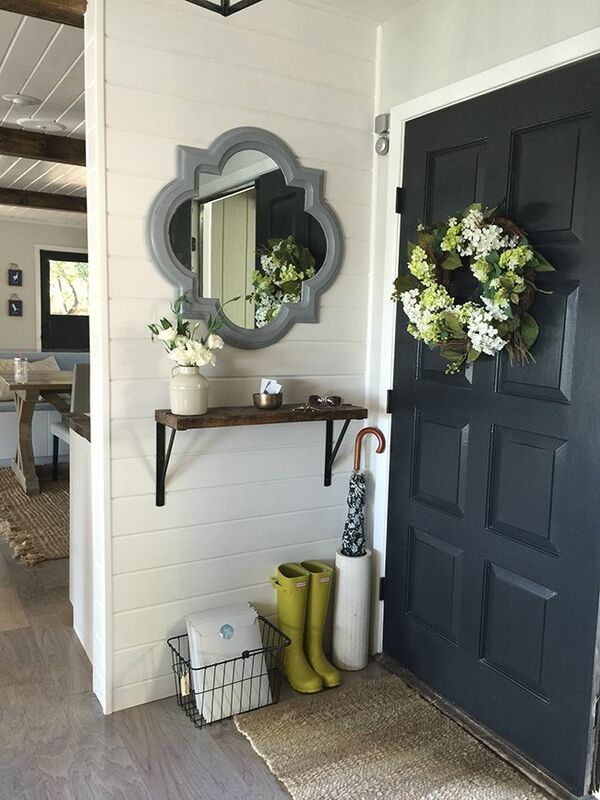 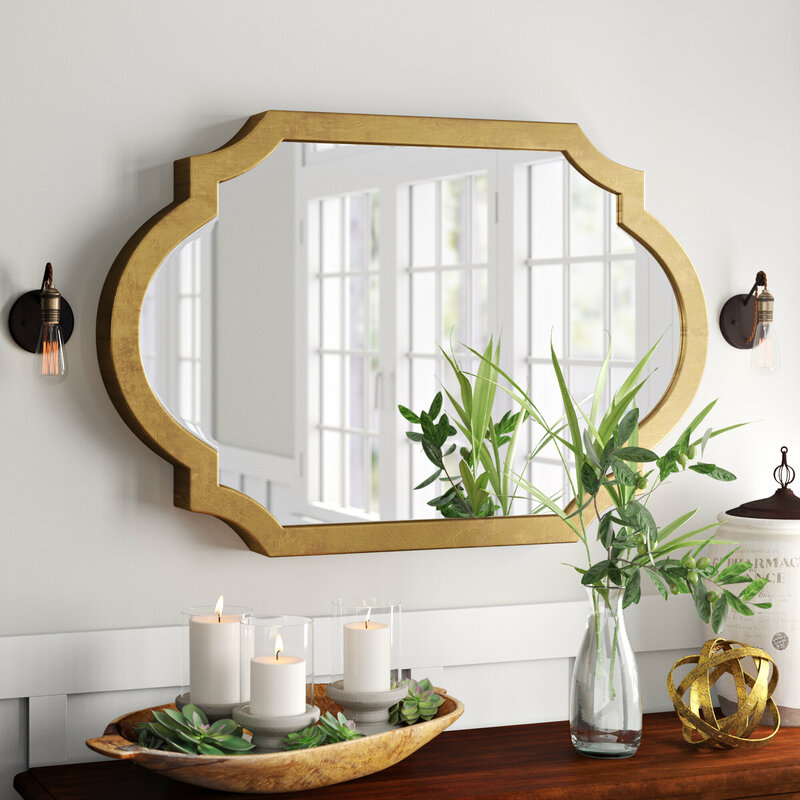 Geometric antique brass finished frame mirror to make a statement in your hallway. 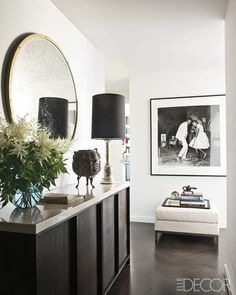 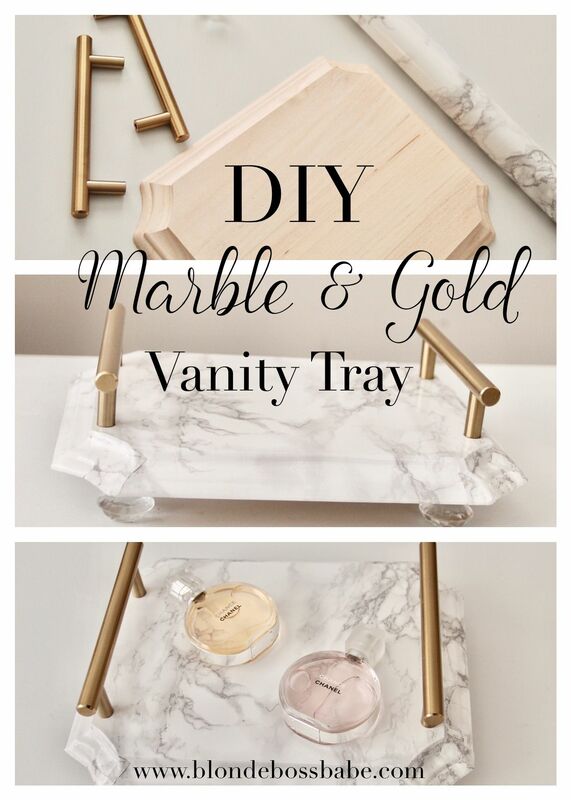 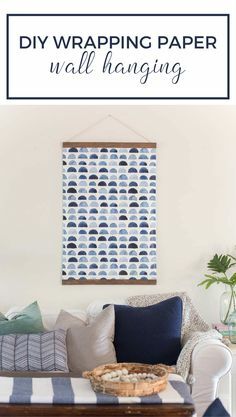 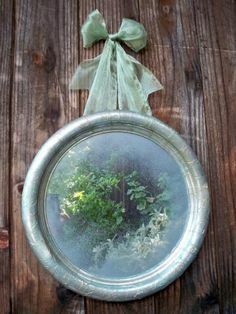 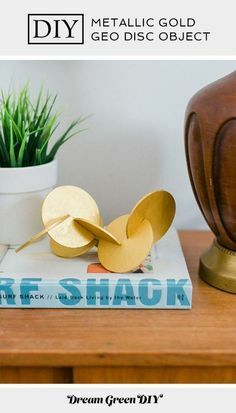 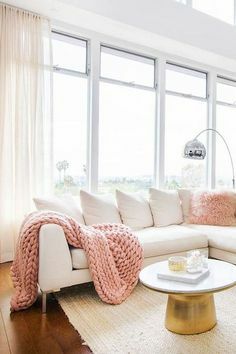 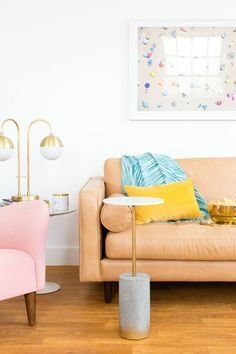 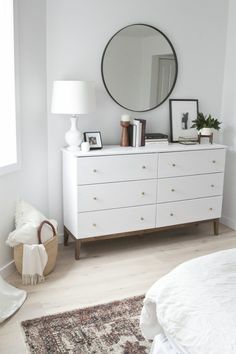 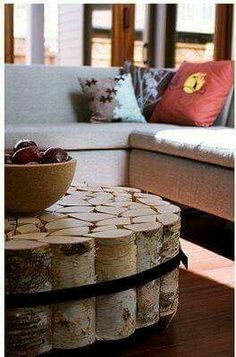 Credits // Author: Laura Gummerman and Josh Rhodes, Photography: Laura Gummerman and Janae Hardy. 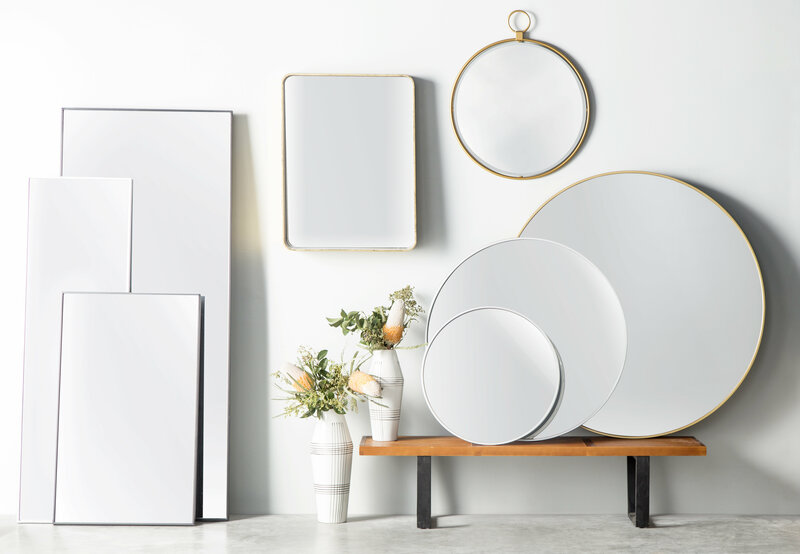 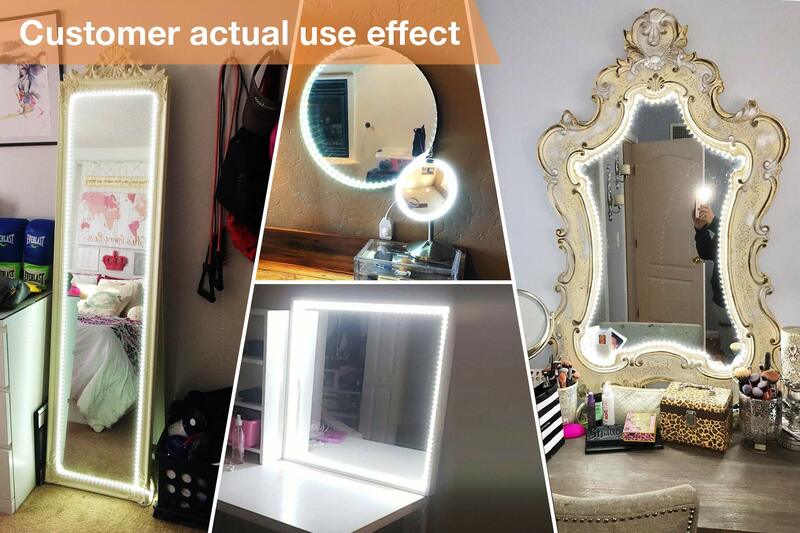 Photos edited with Stella from The Signature Collection.